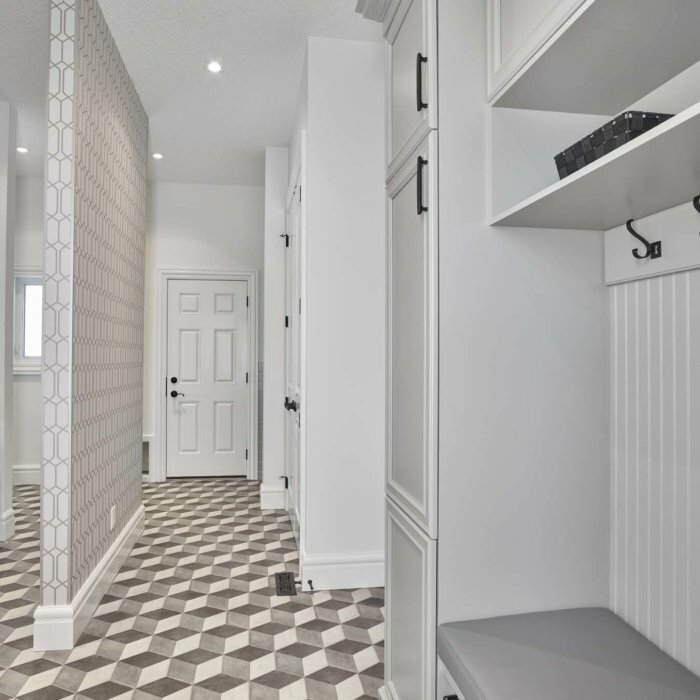 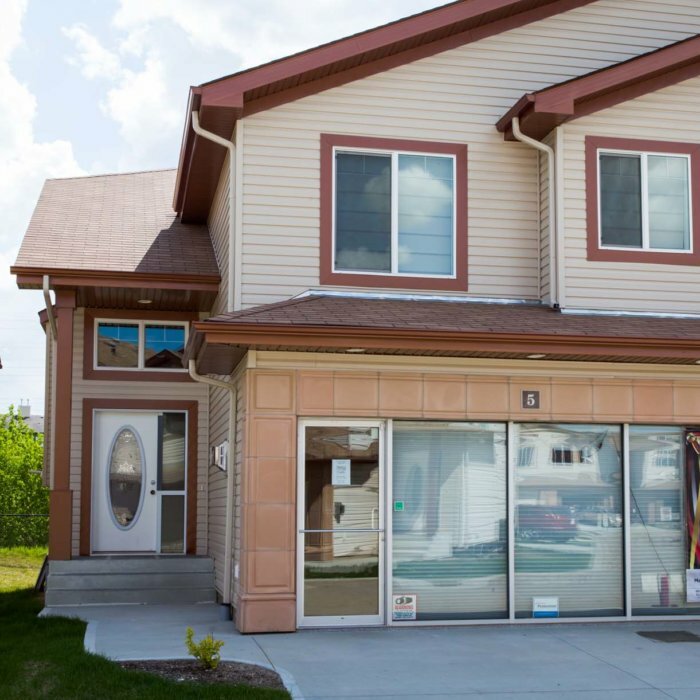 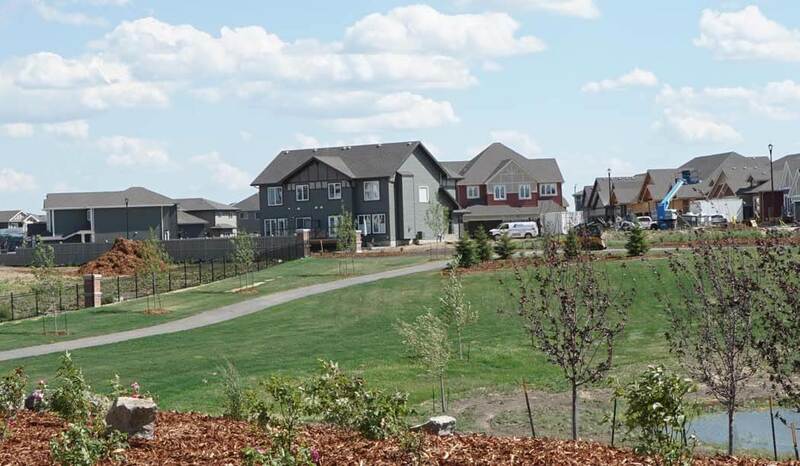 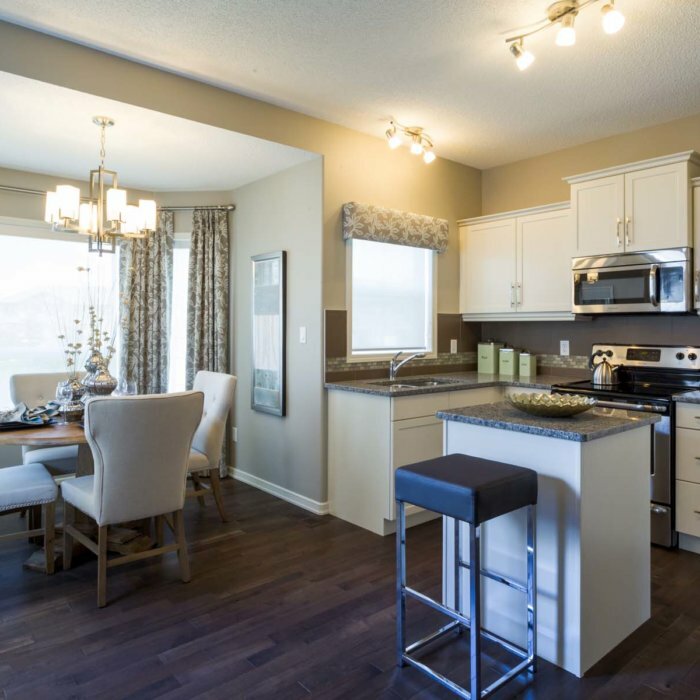 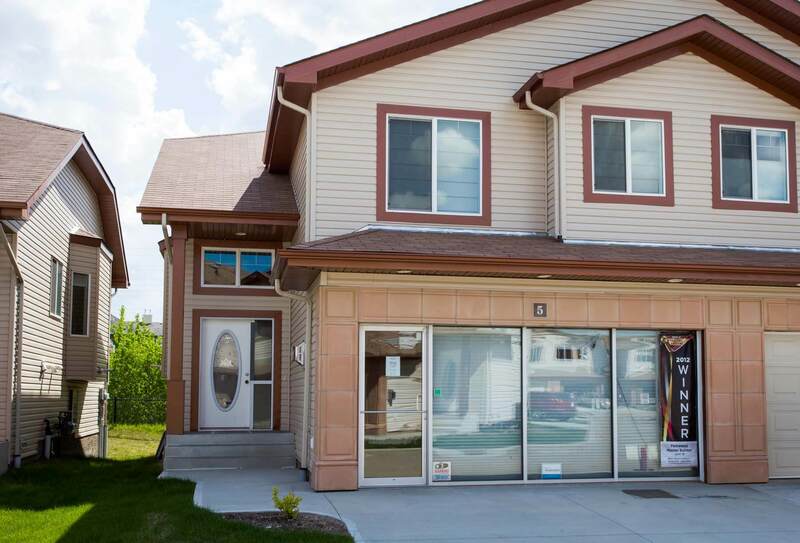 Parkwood is proud to have been building homes in the Edmonton and surrounding region for almost 30 years. 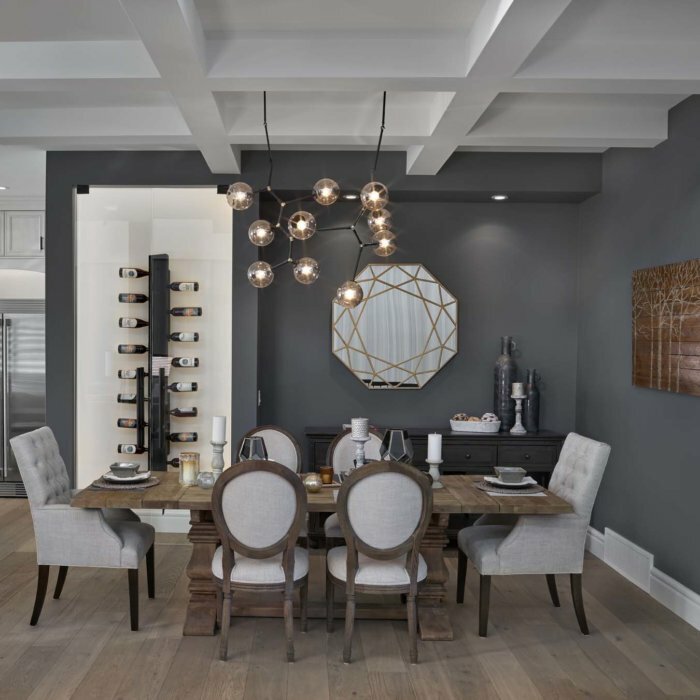 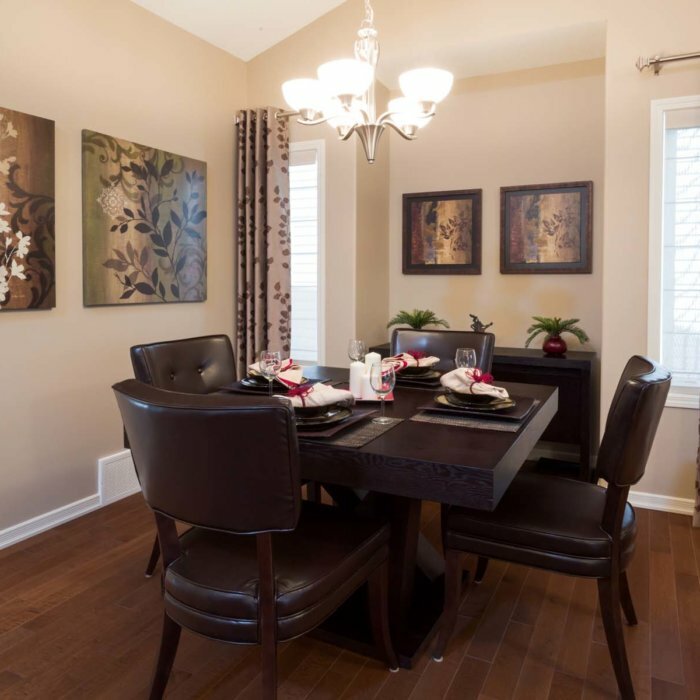 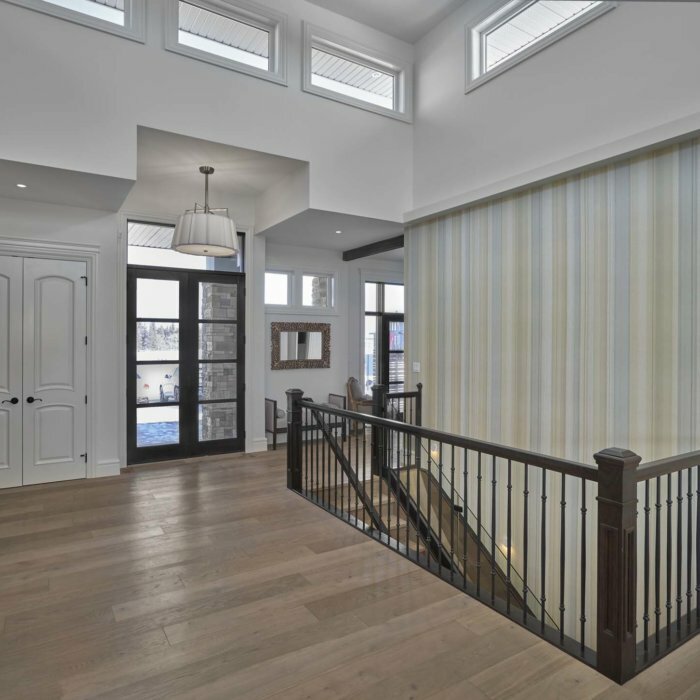 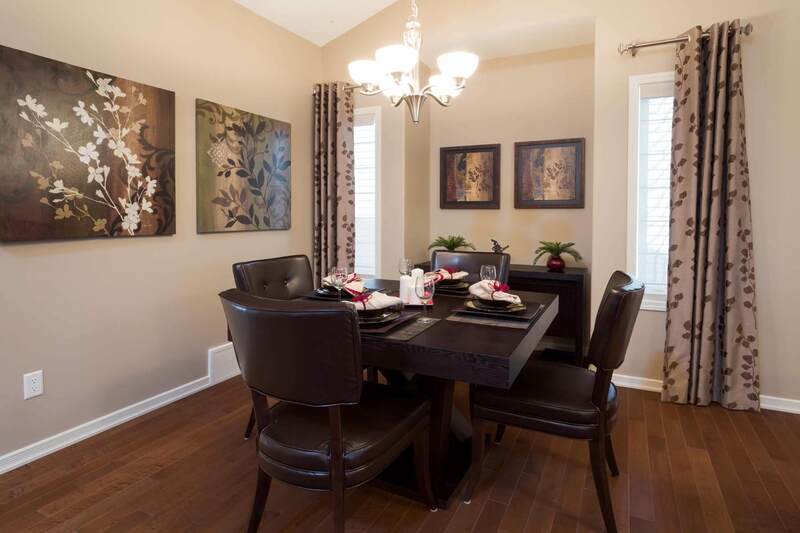 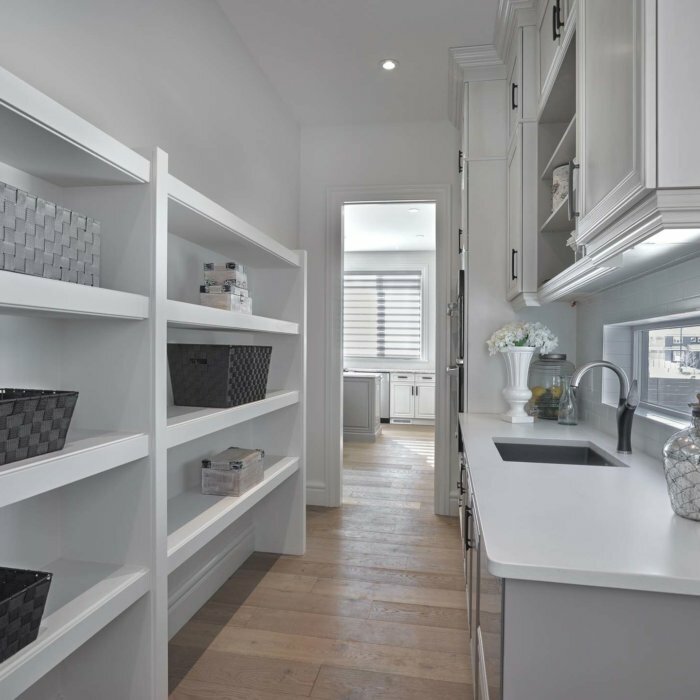 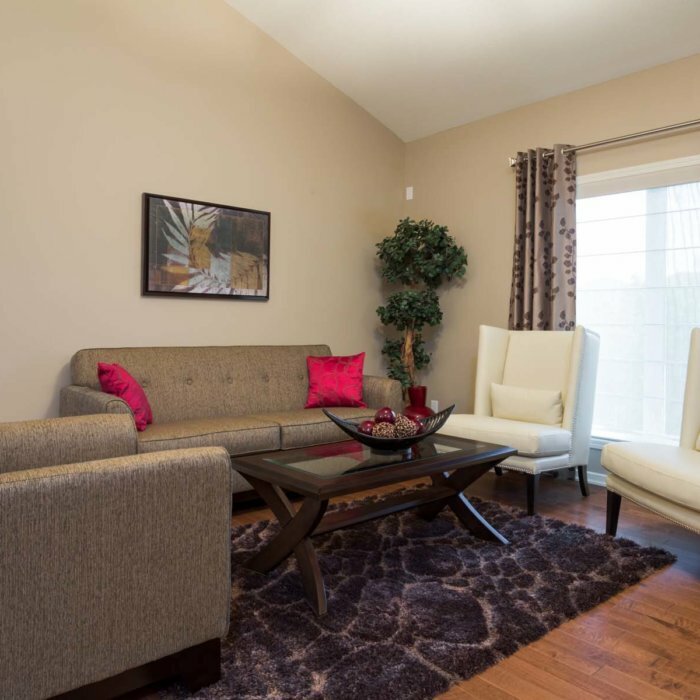 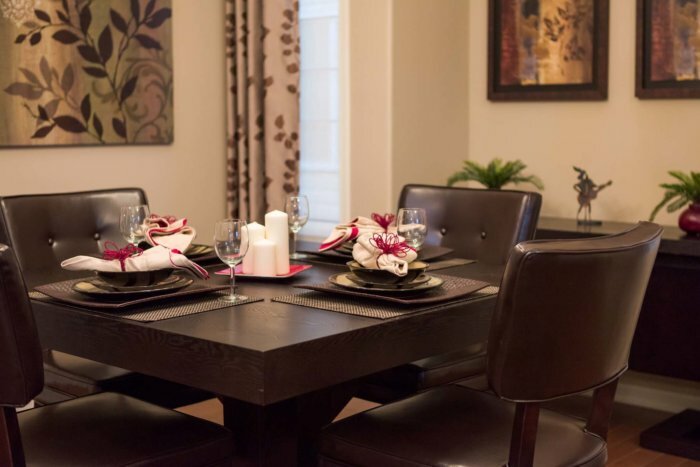 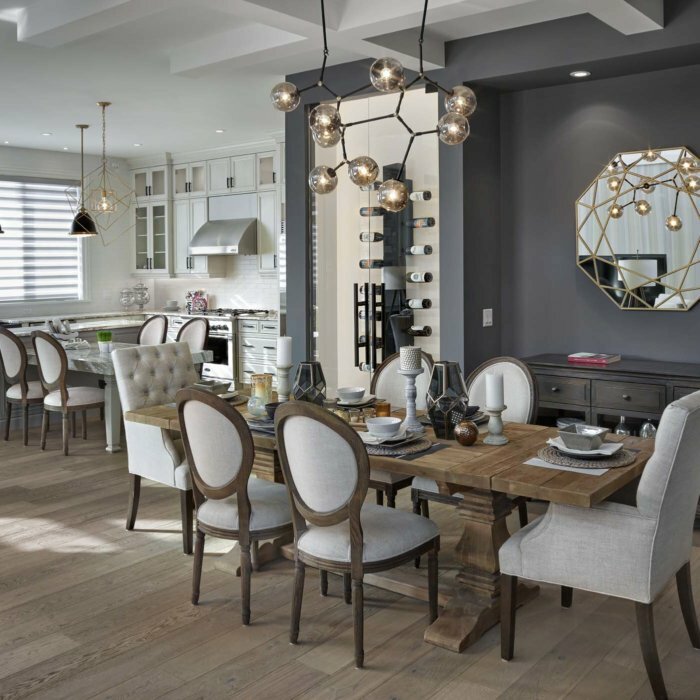 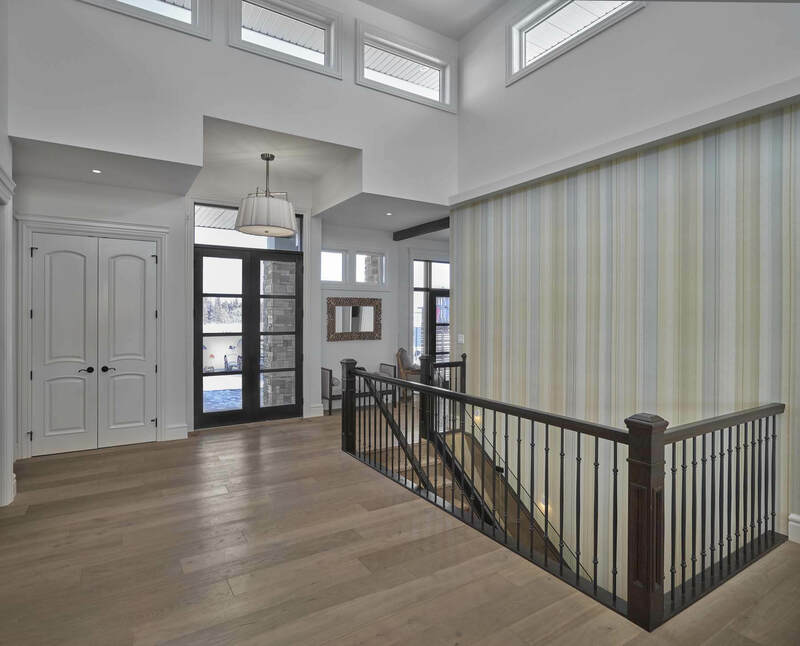 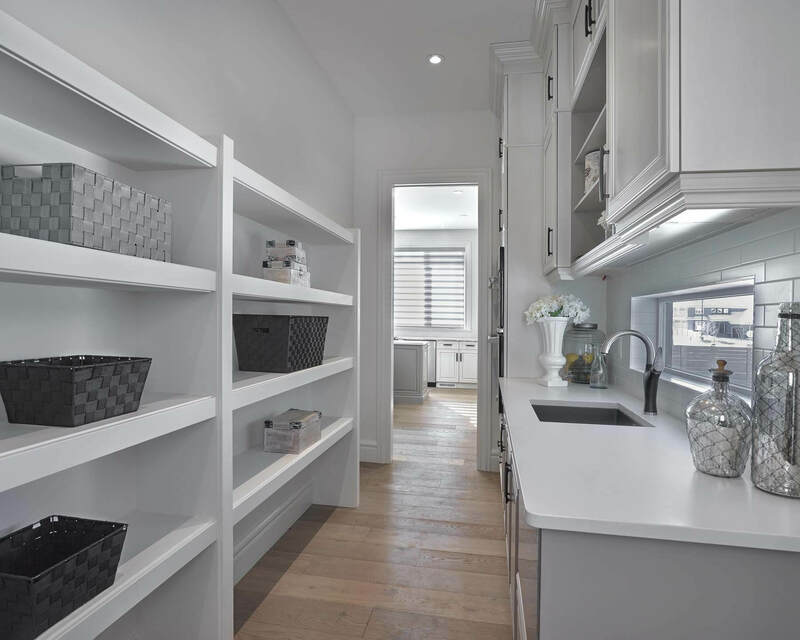 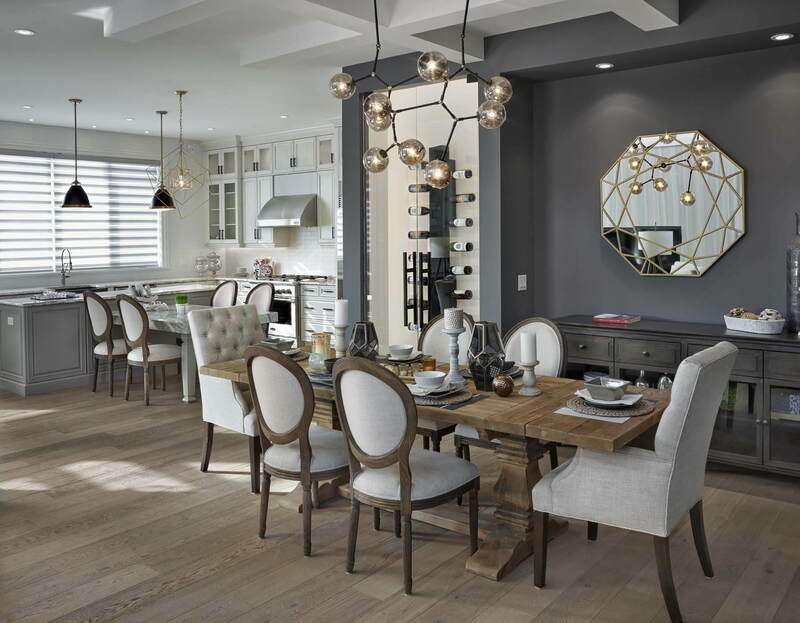 From condos and duplexes, to single family, infill and custom designed homes, at Parkwood we’ve experienced it all. 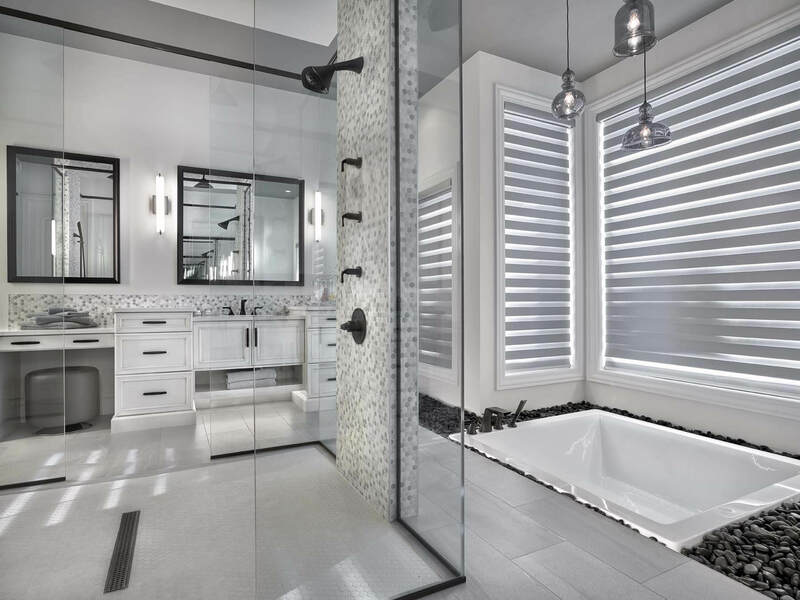 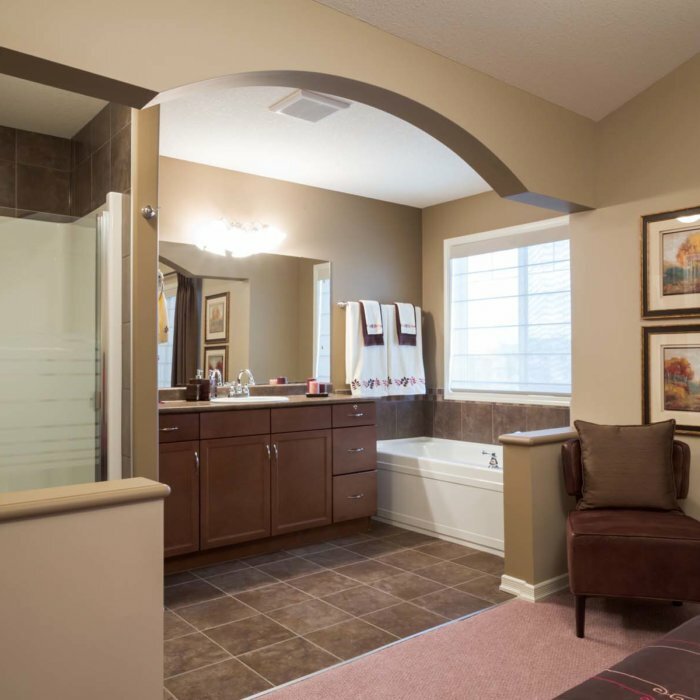 Take a peek below at some of our past projects over the last decade. 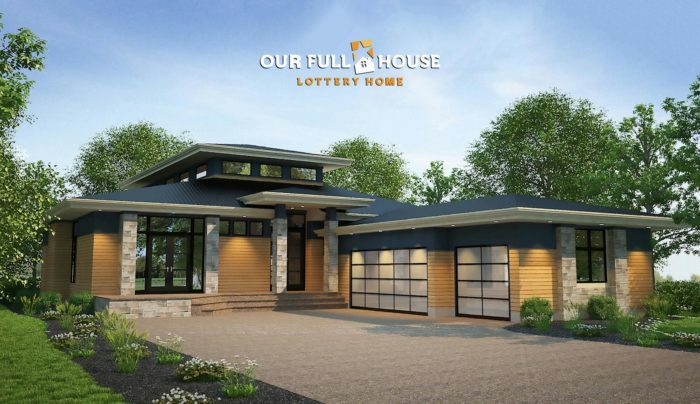 Proud Builder of one of the 2017 Grand Prize Full House Lottery Dream Homes, in support of the University Hospital & Royal Alexandra Hospital Foundations. 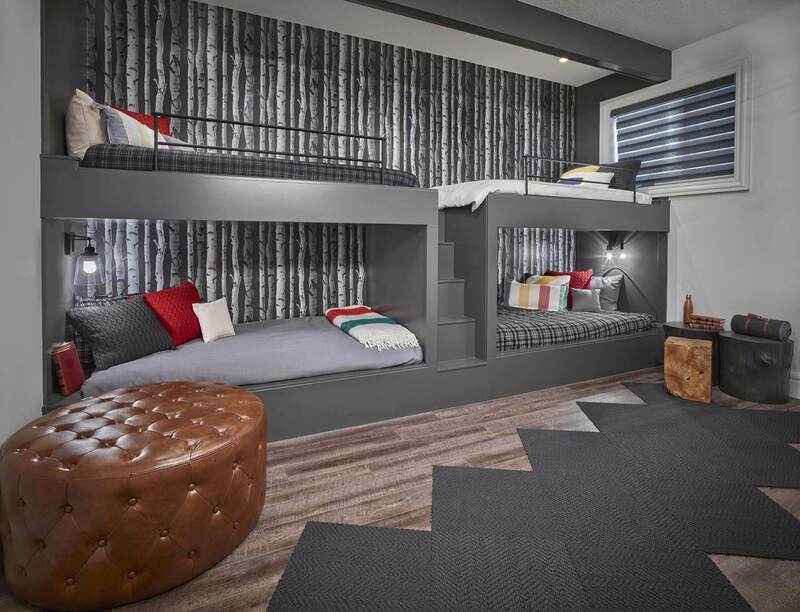 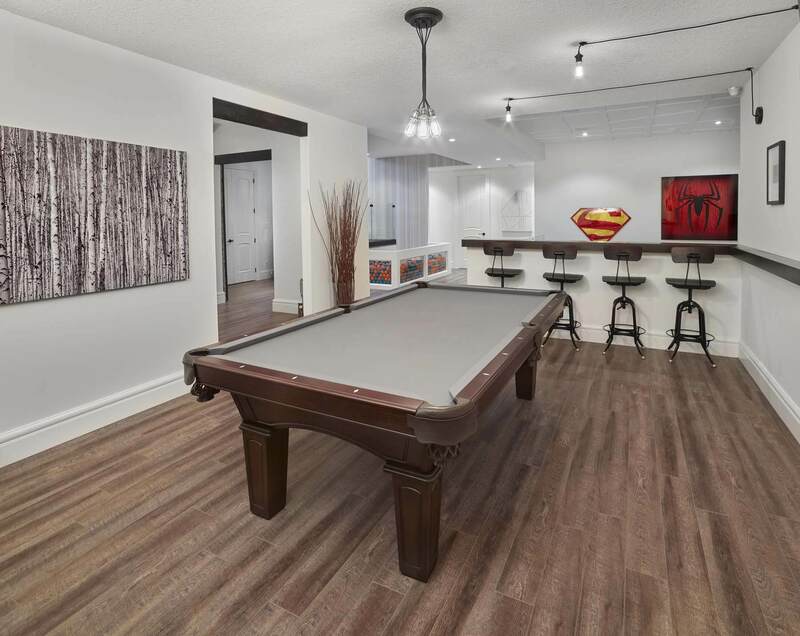 This home had fun written all over it! 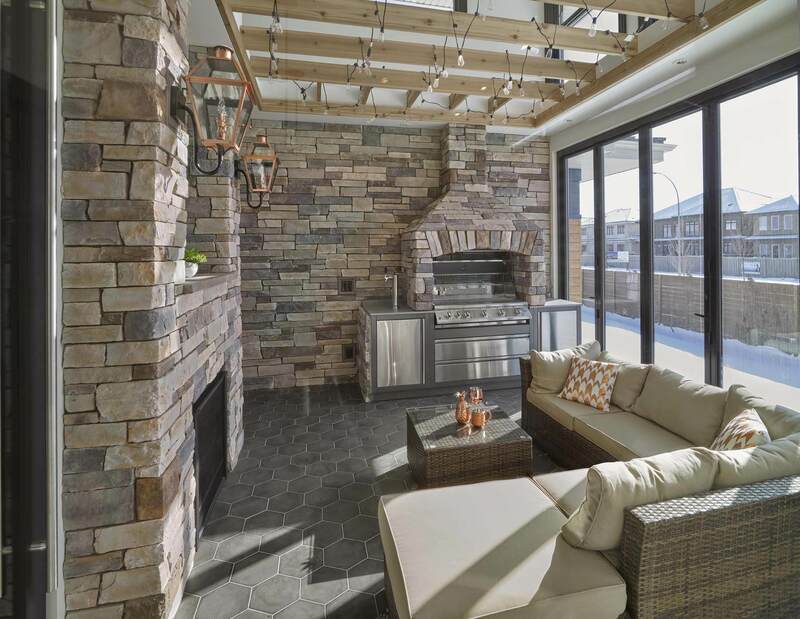 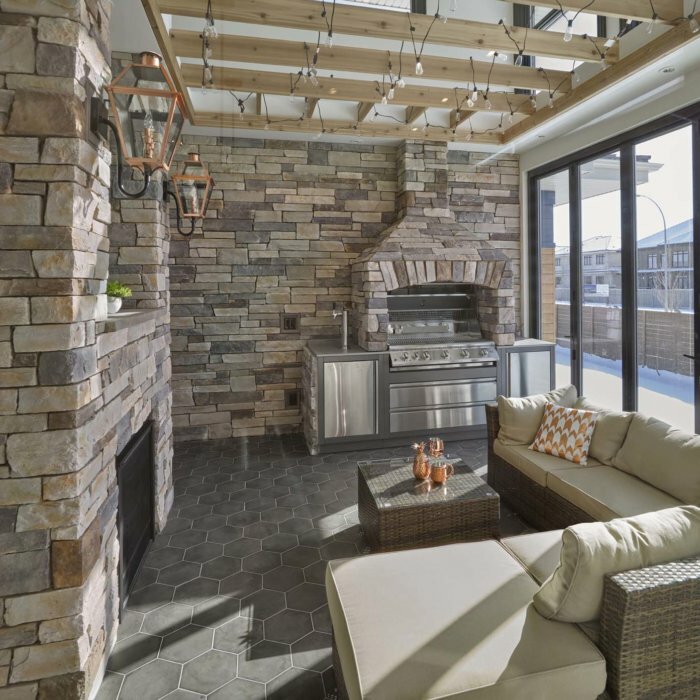 Open the retractable glass wall and smell the fresh air in the indoor/outdoor living space. 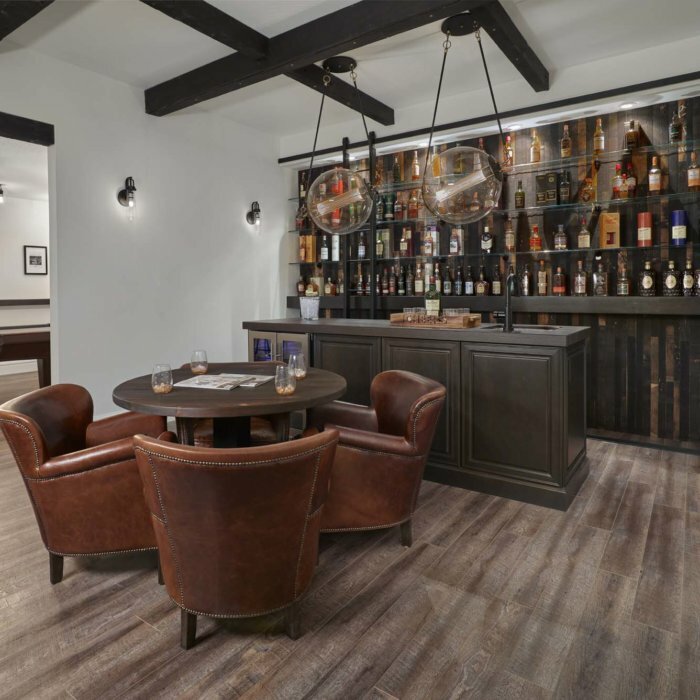 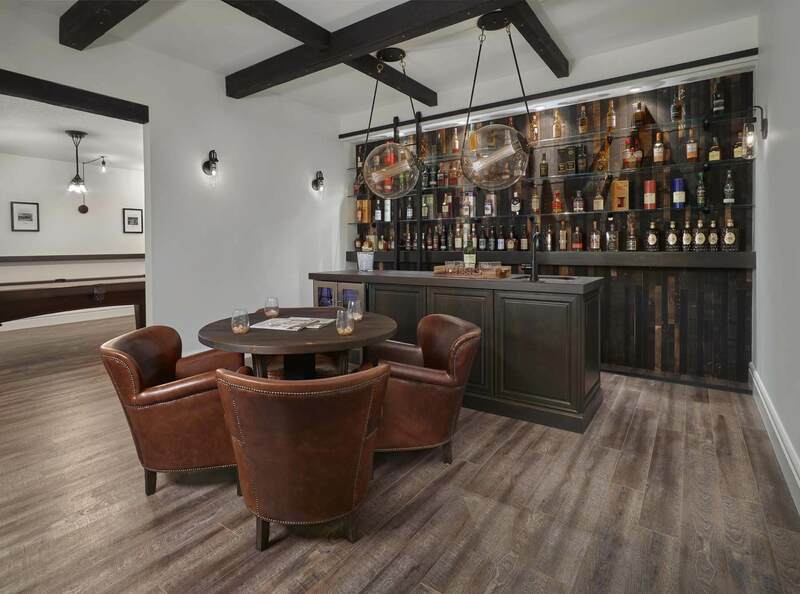 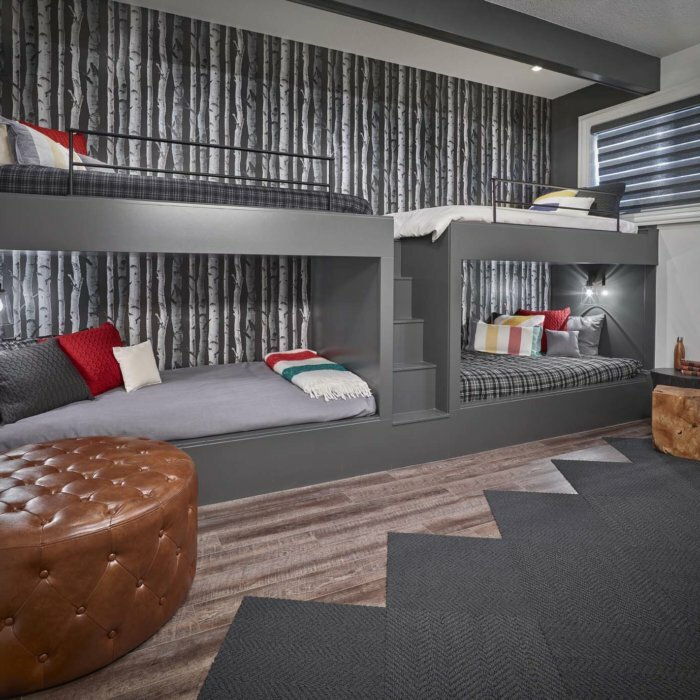 Then feel like a kid again as you slide into the basement ball pit—on the way to the scotch tasting room (because you’re classy like that). 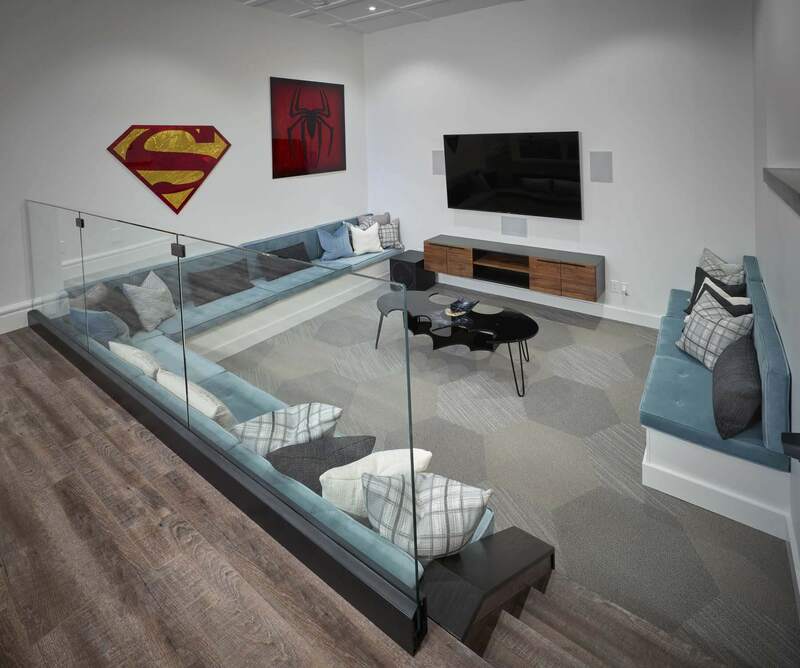 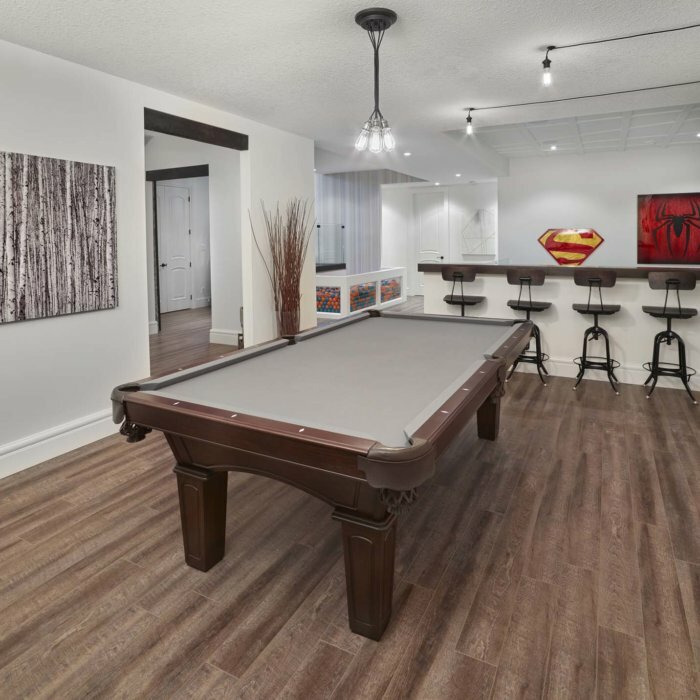 Now plop into the sunken media & games pit for a night of entertainment. 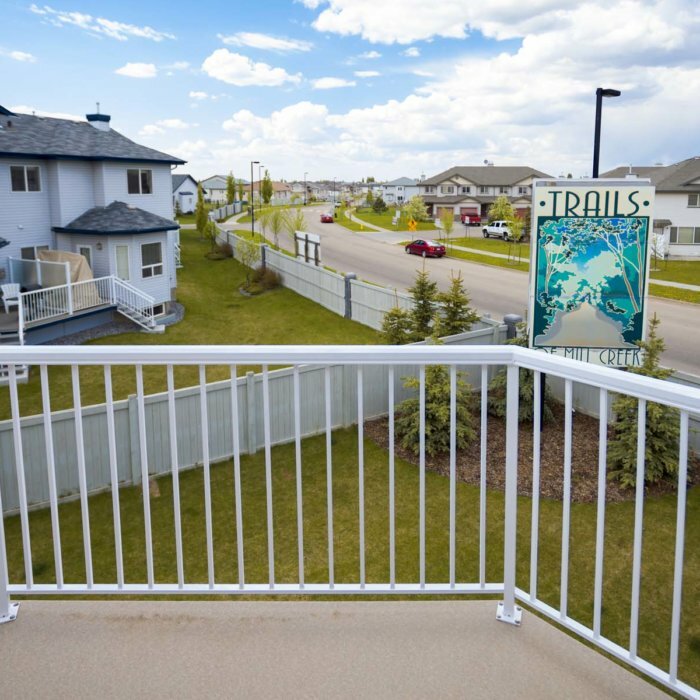 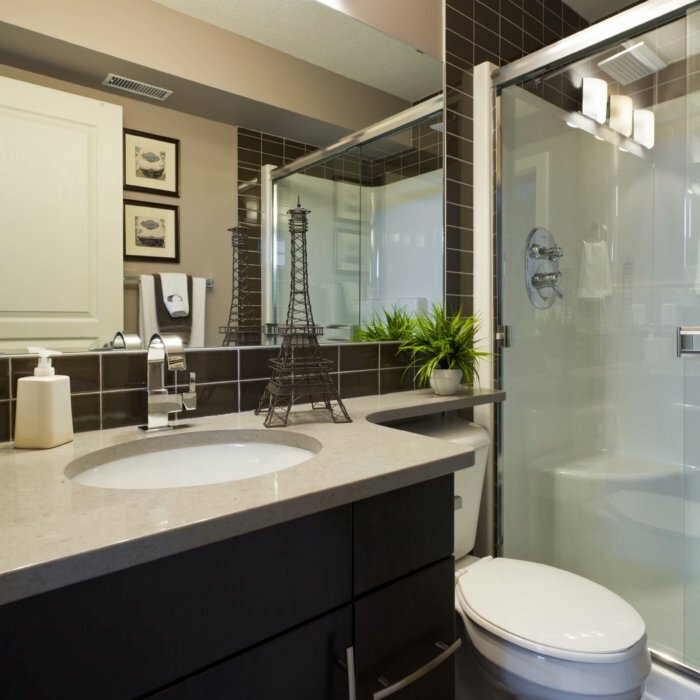 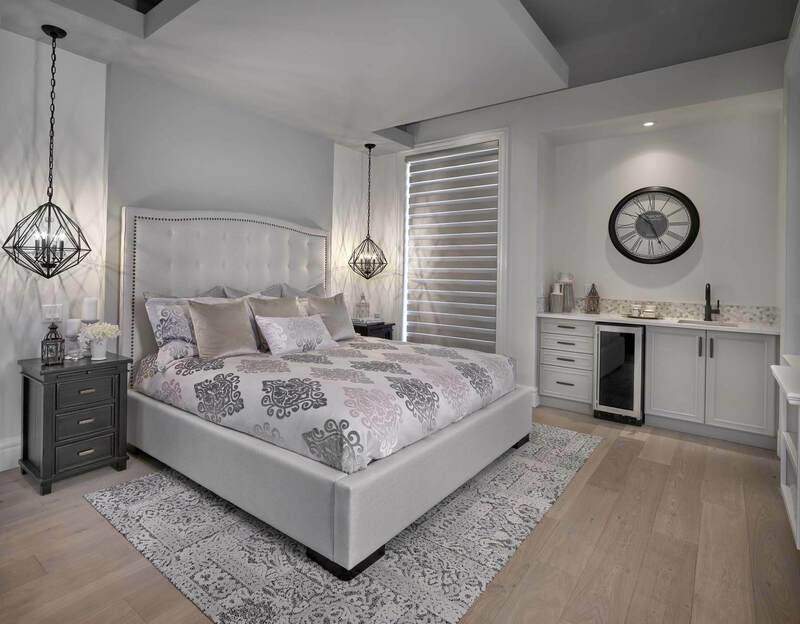 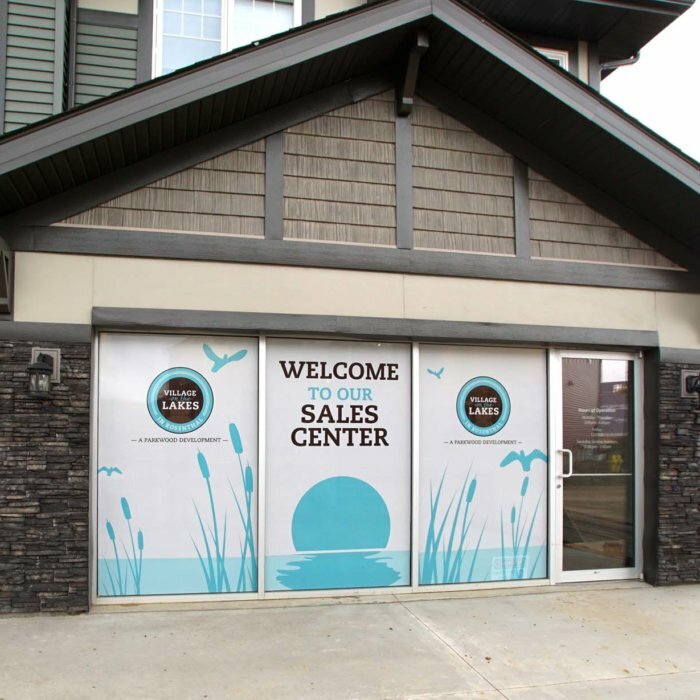 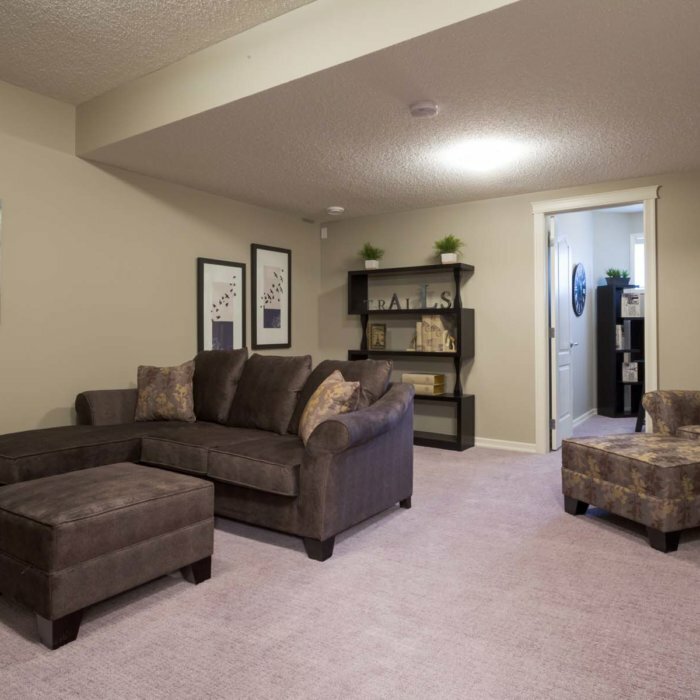 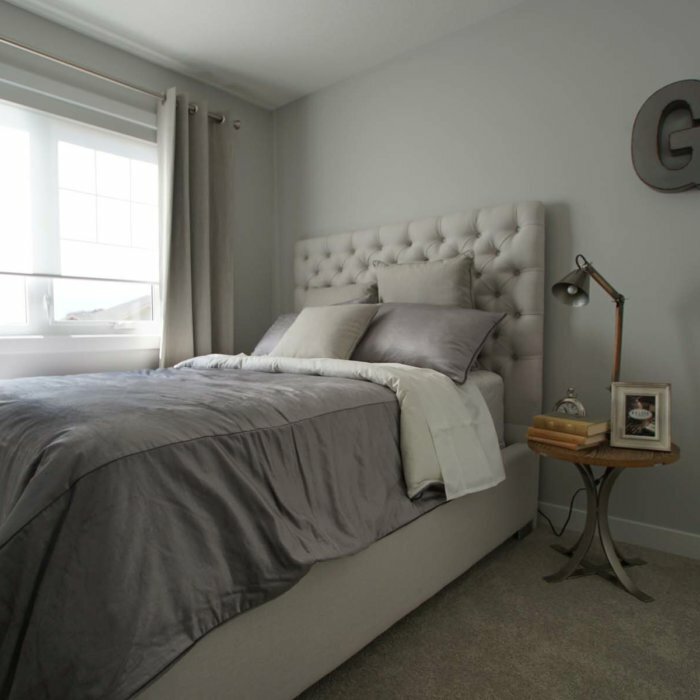 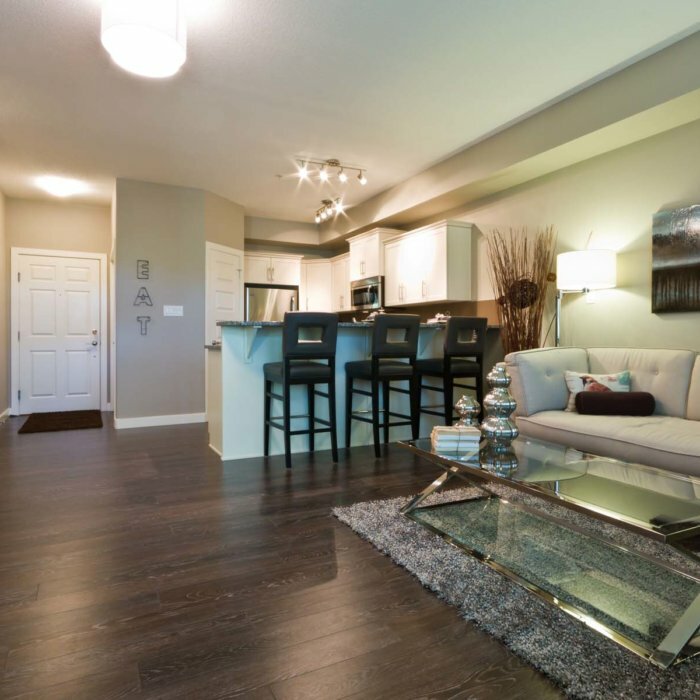 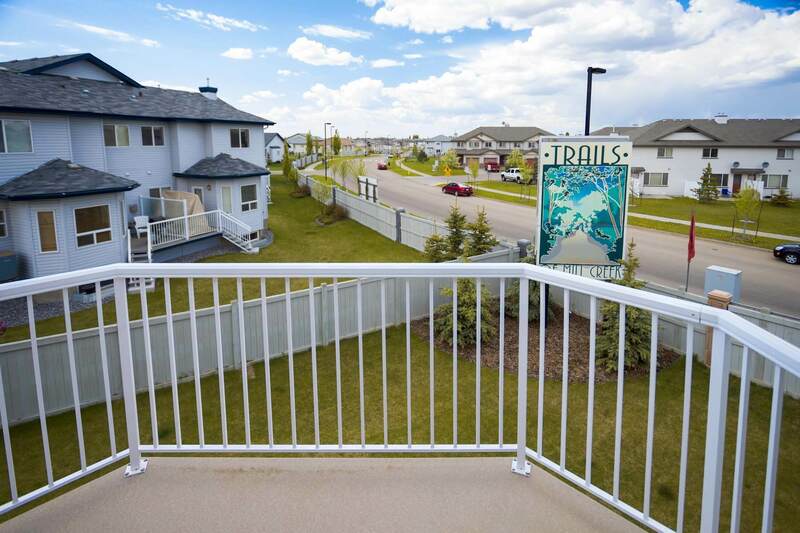 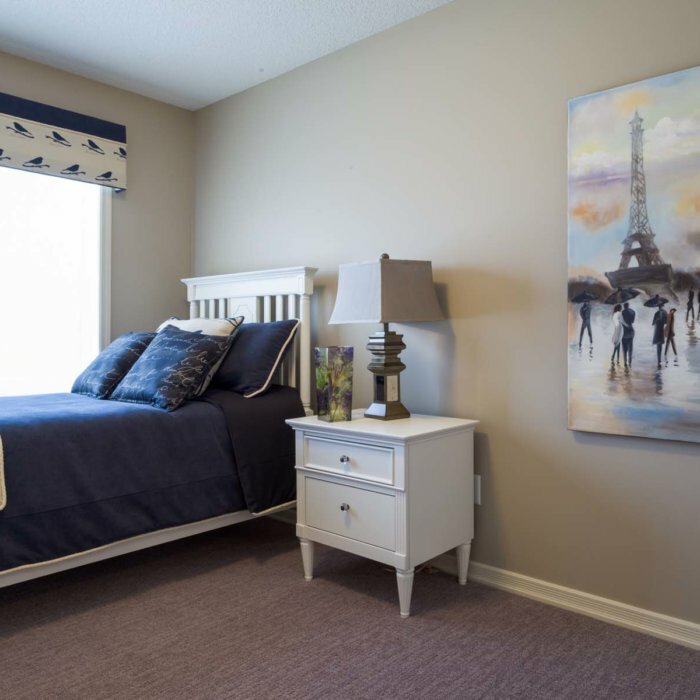 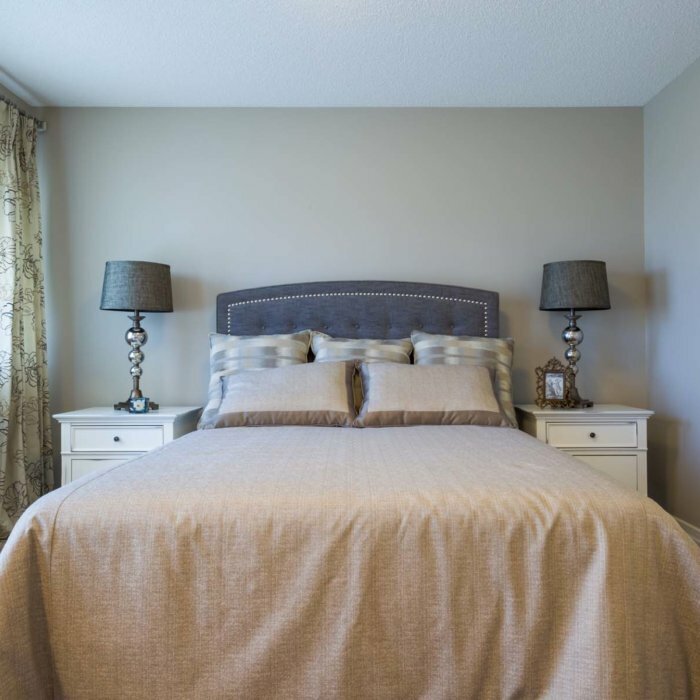 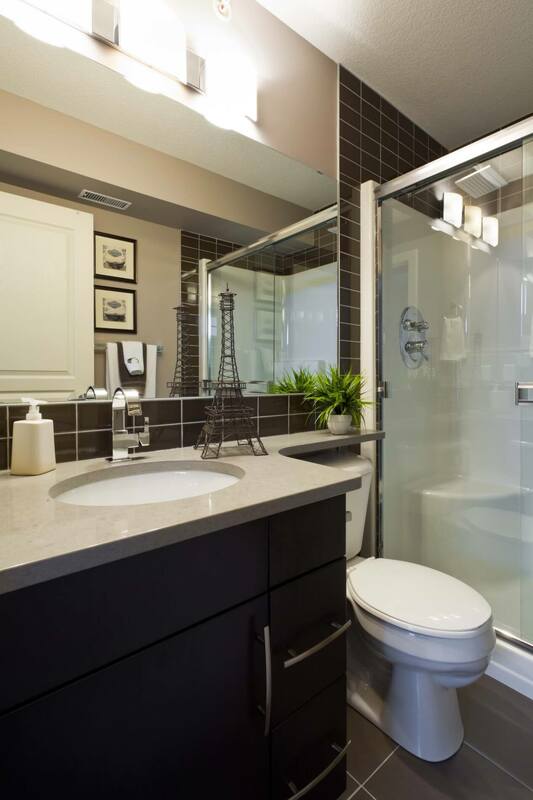 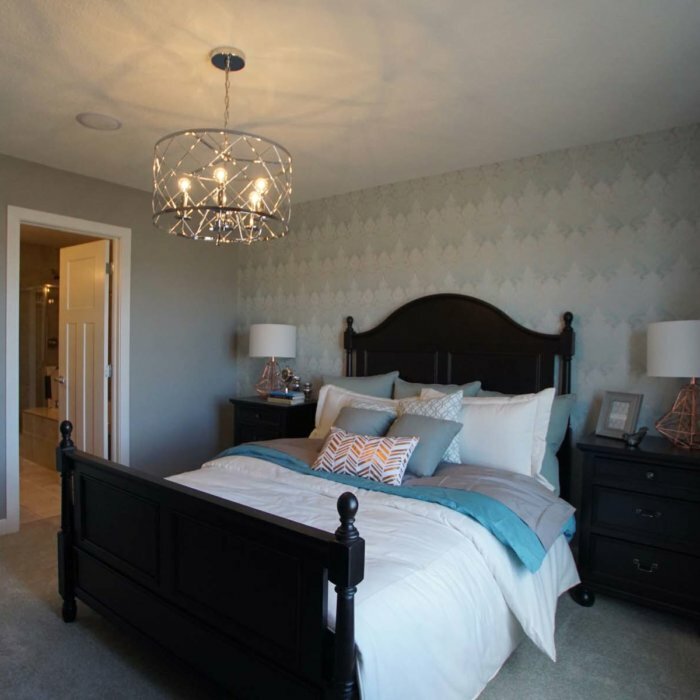 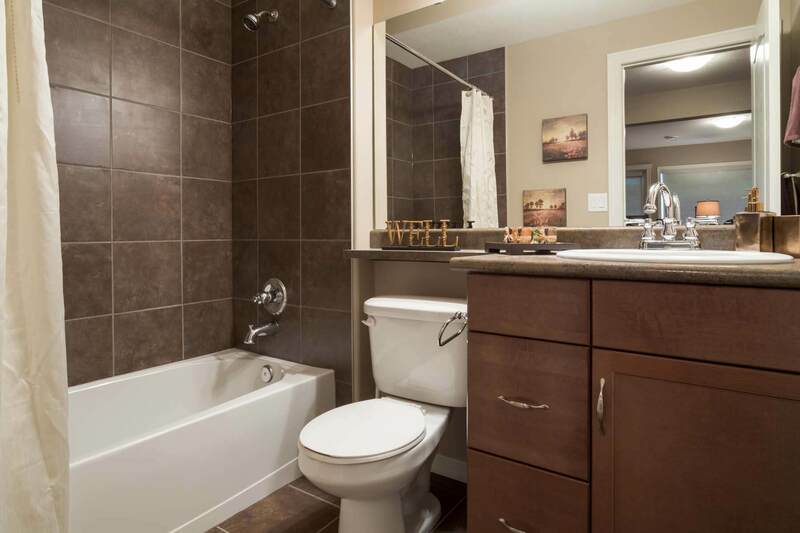 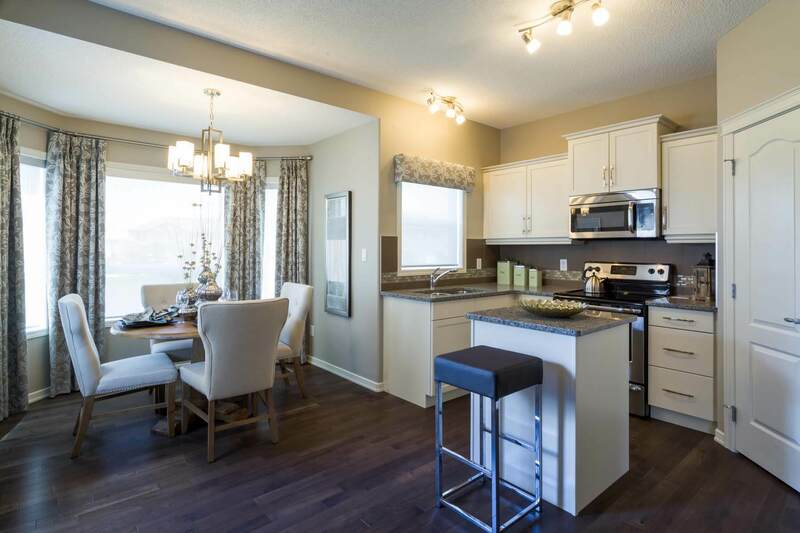 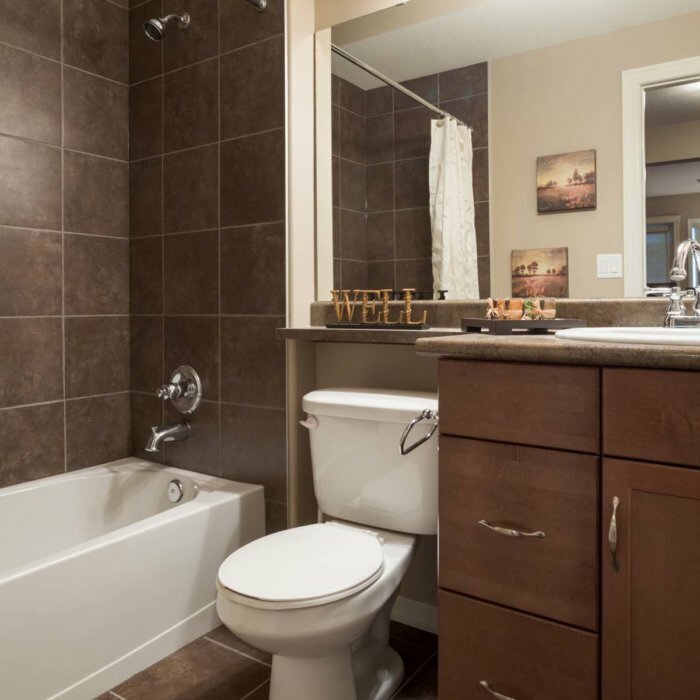 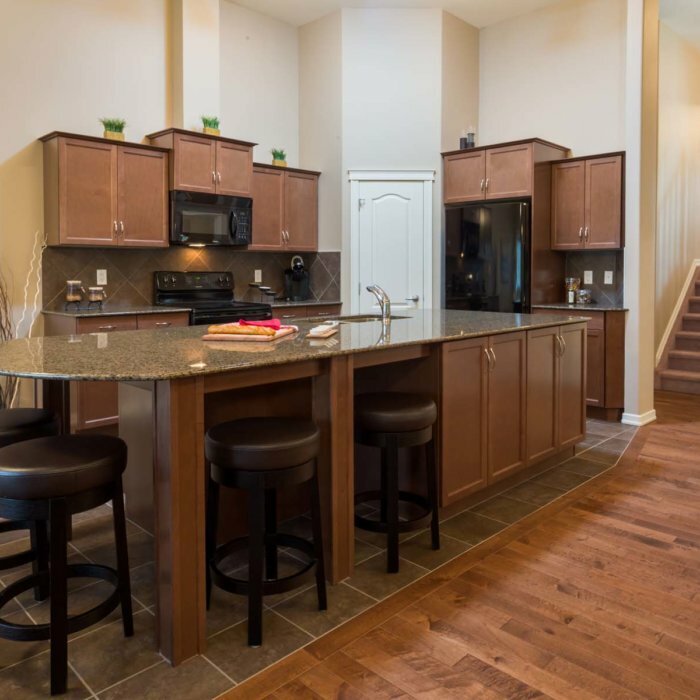 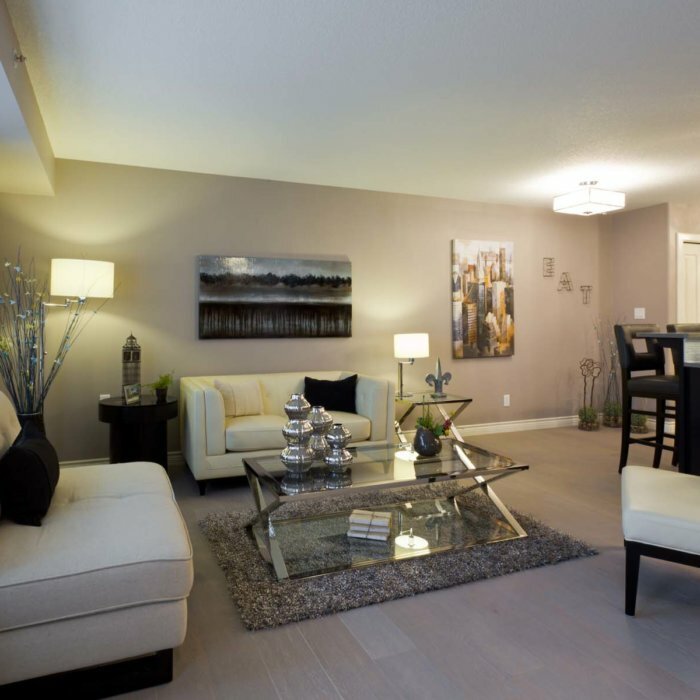 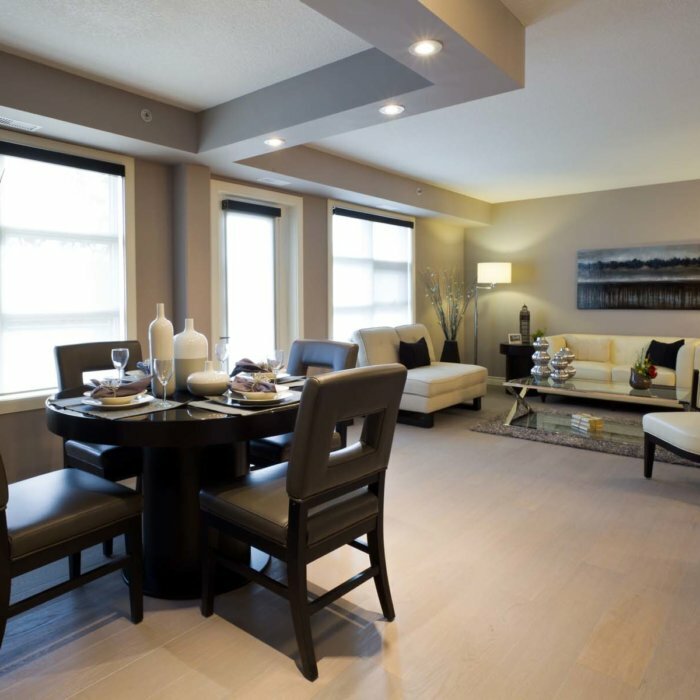 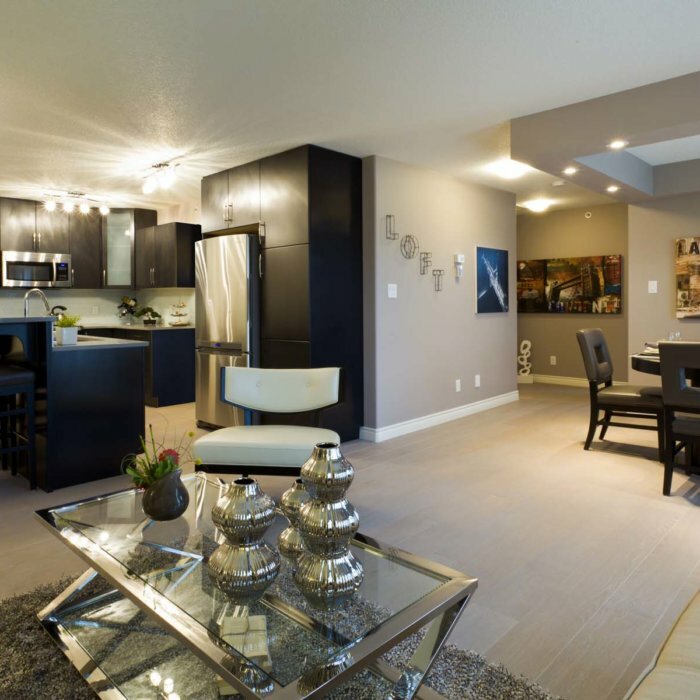 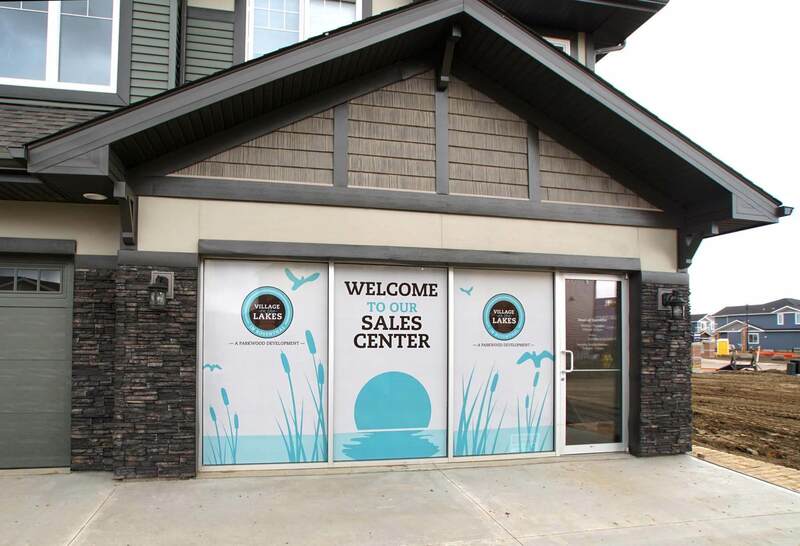 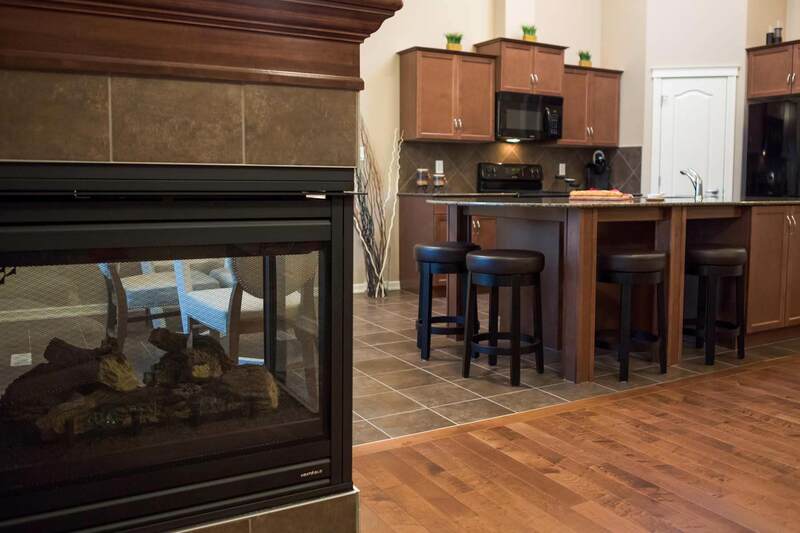 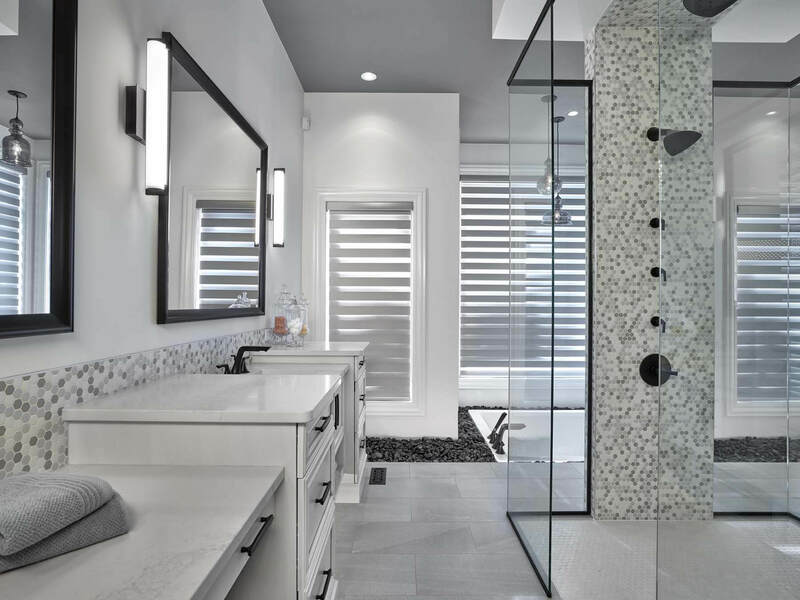 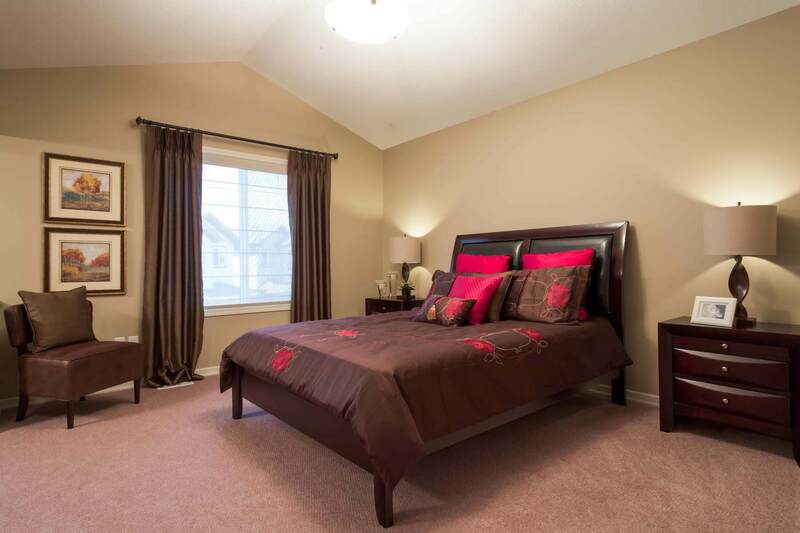 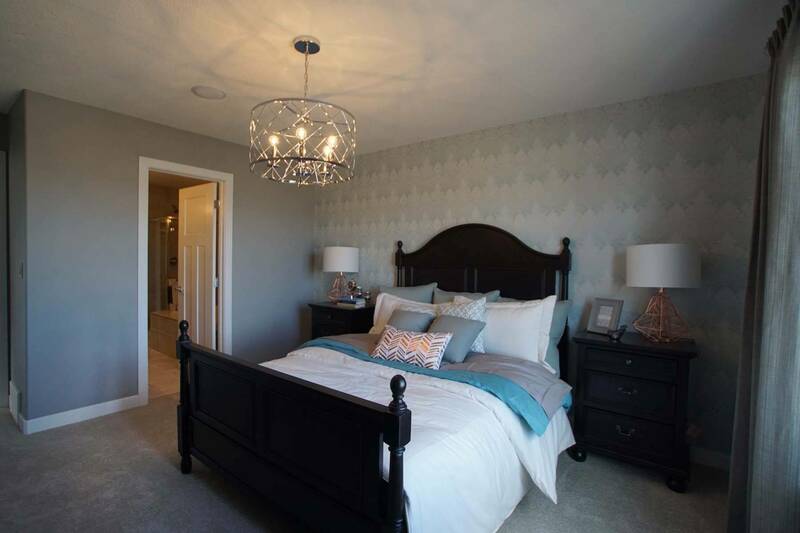 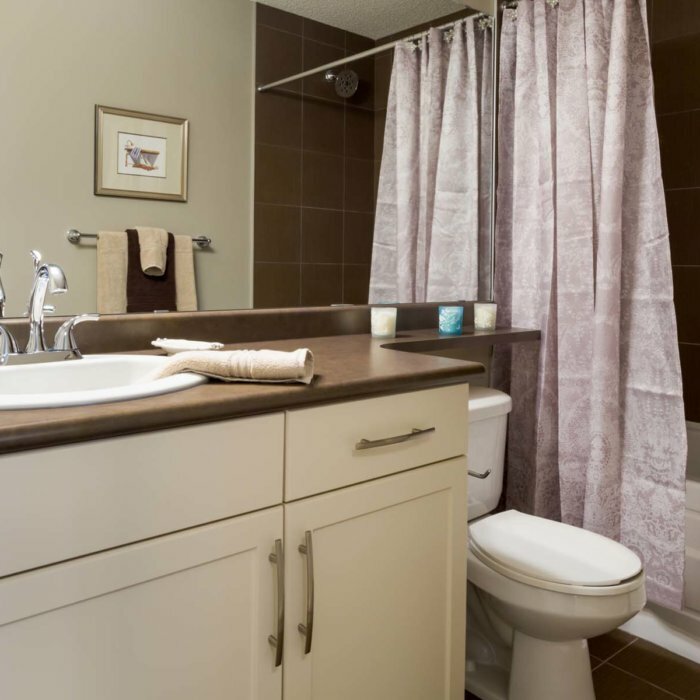 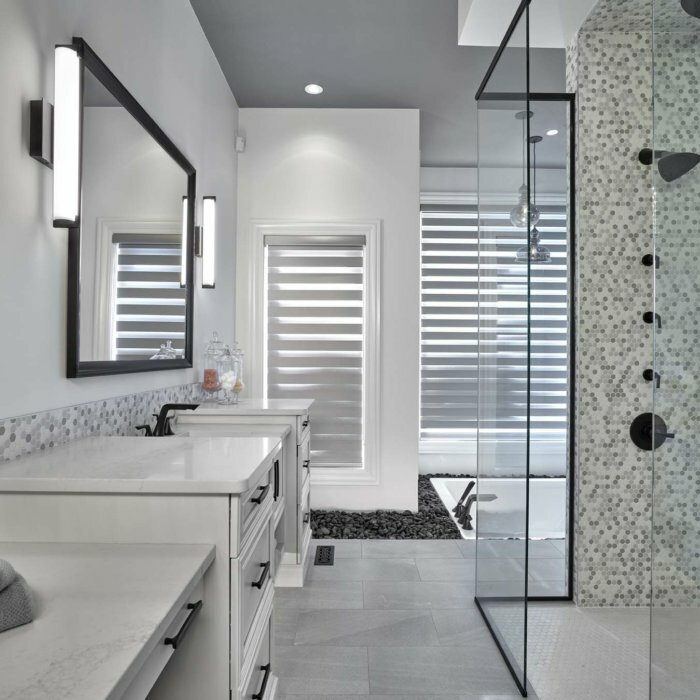 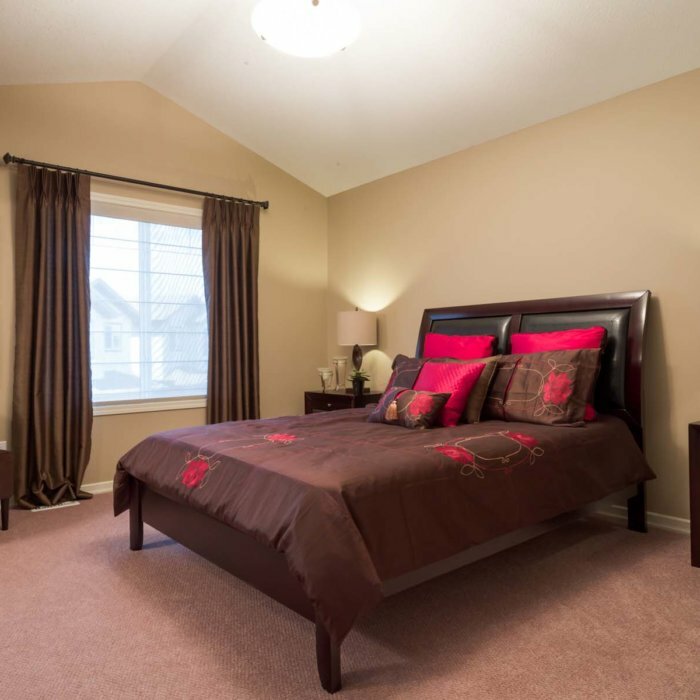 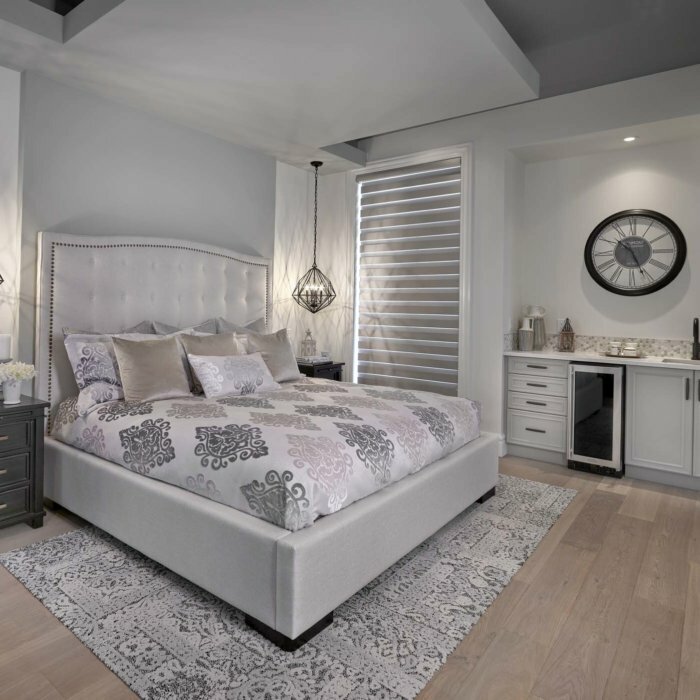 Waterside Estates is three and a half storey executive condominium, located in Cloverdale, Edmonton. 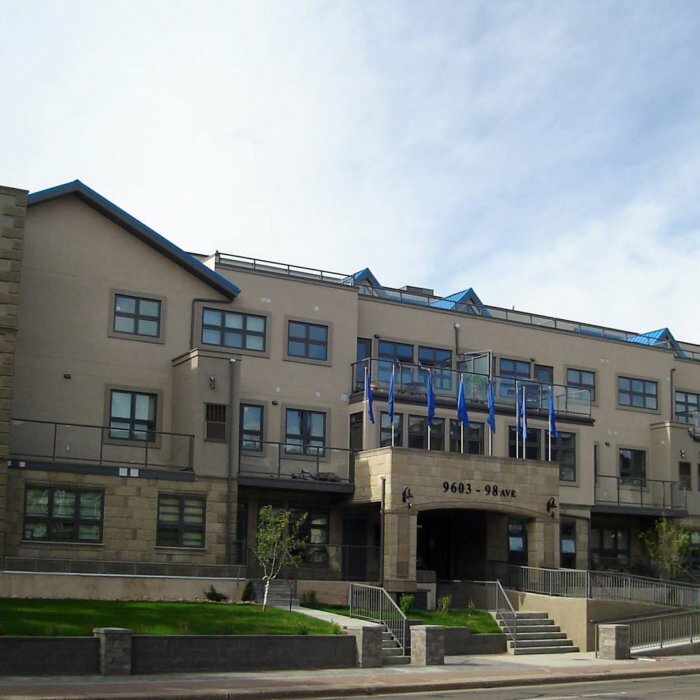 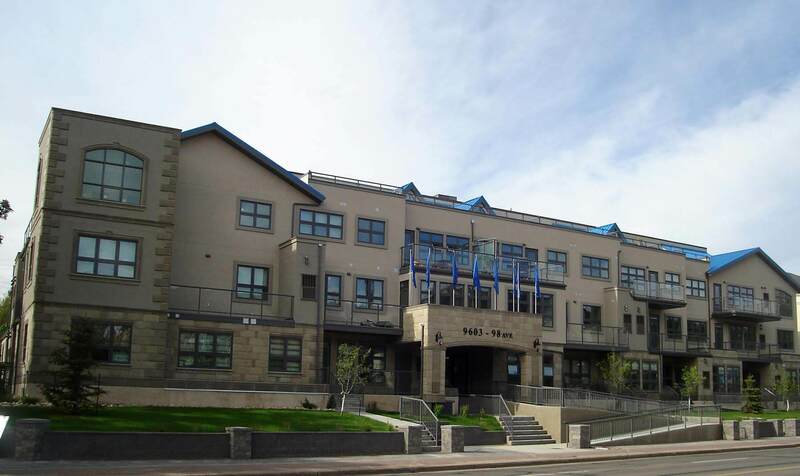 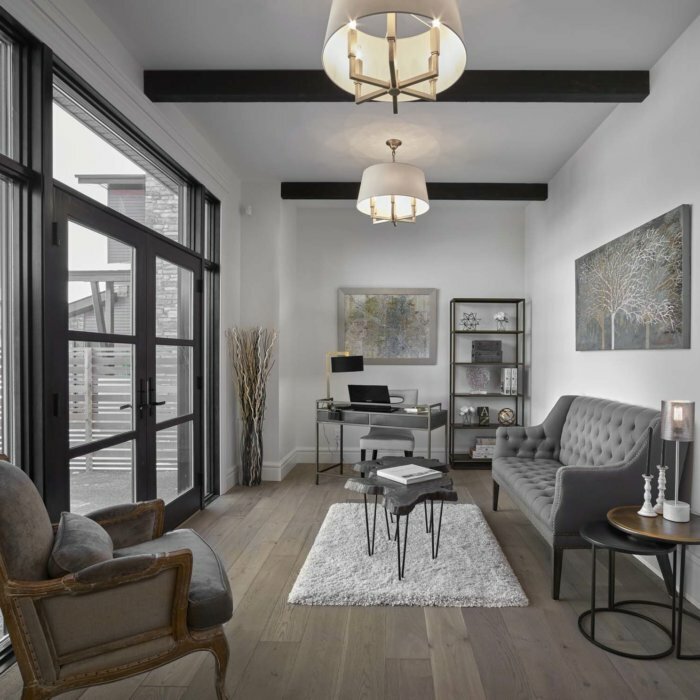 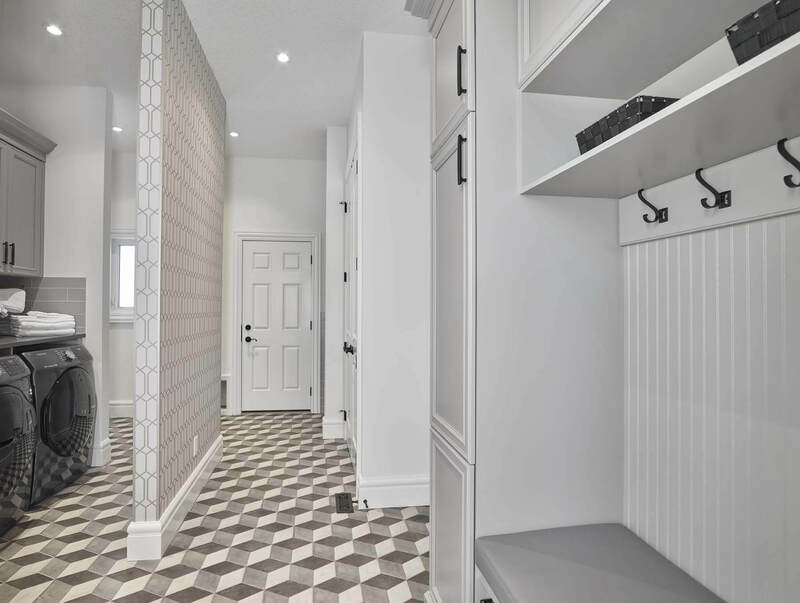 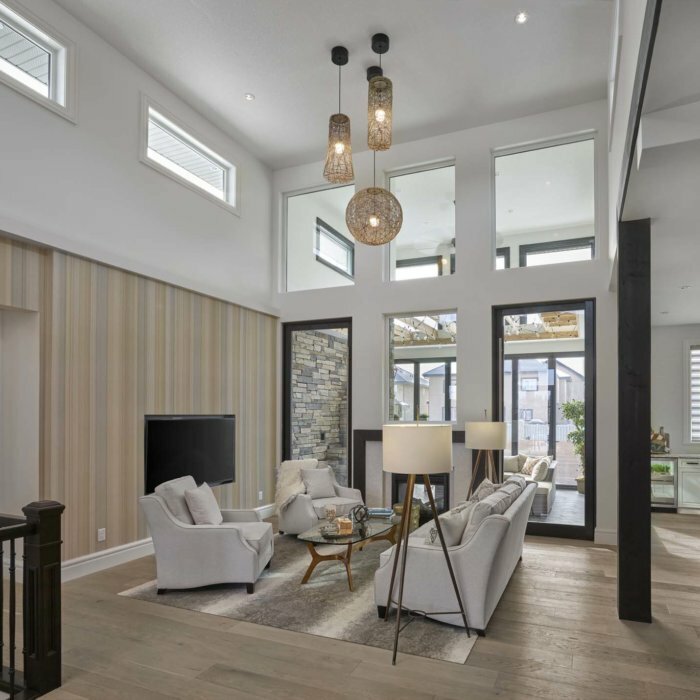 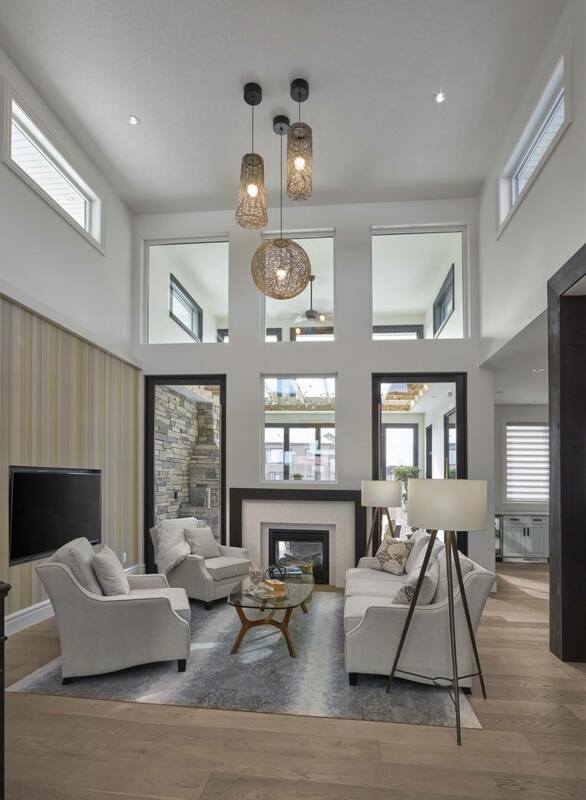 With an eclectic mix of architectural features and finishings, the building is both welcoming and complementary to the river valley surroundings. 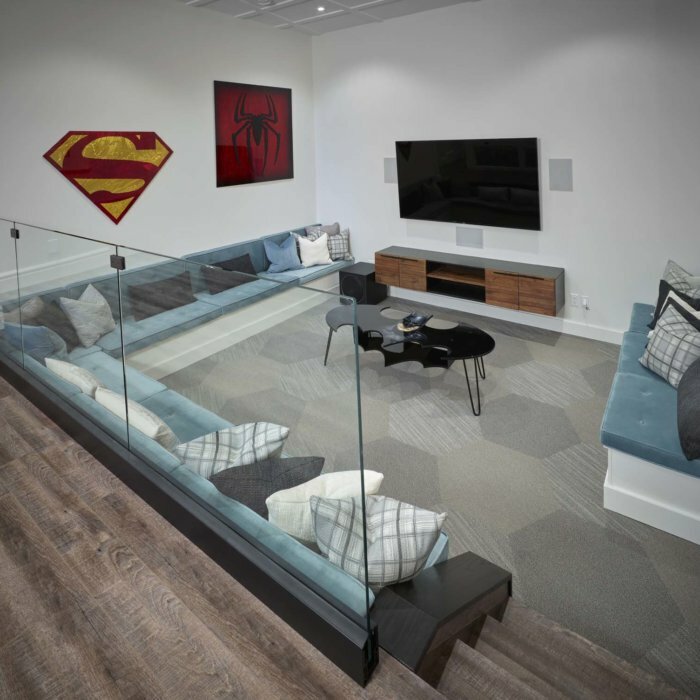 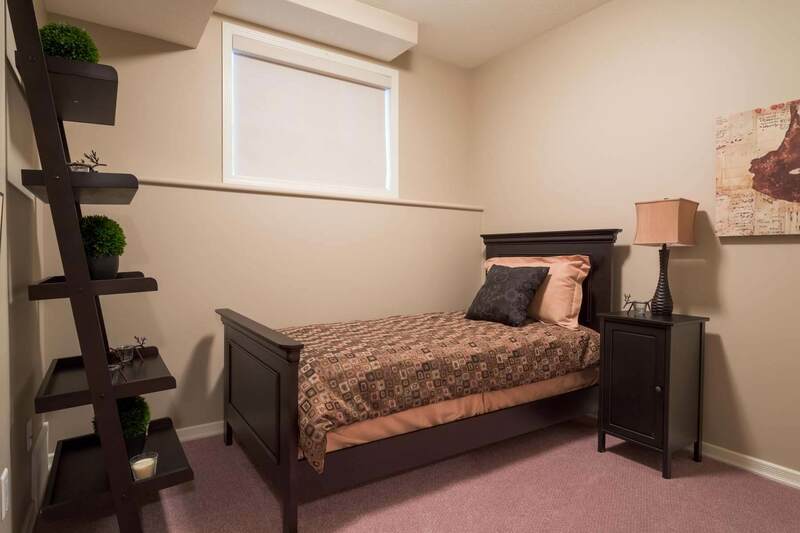 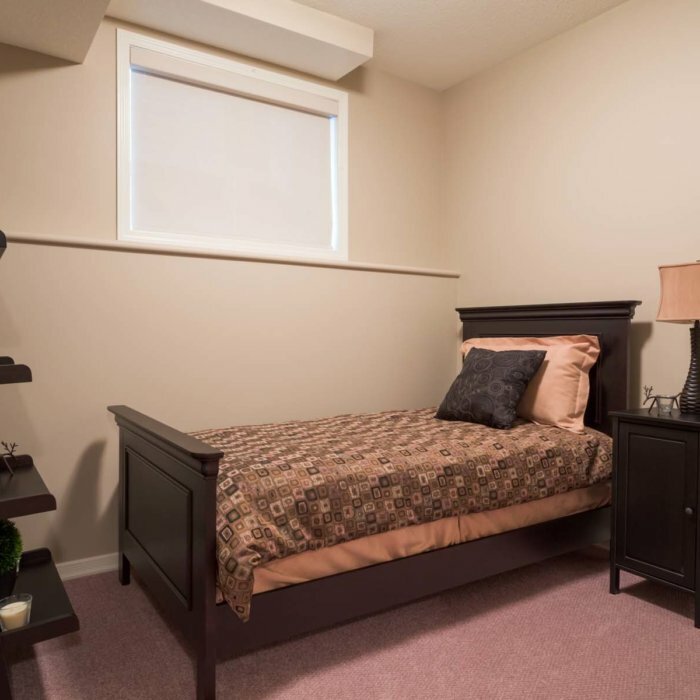 The condominium complex also included many added extras including a wash bay in the heated underground parkade with secured storage cages, as well as video surveillance cameras in all the common area entrances and parkade. 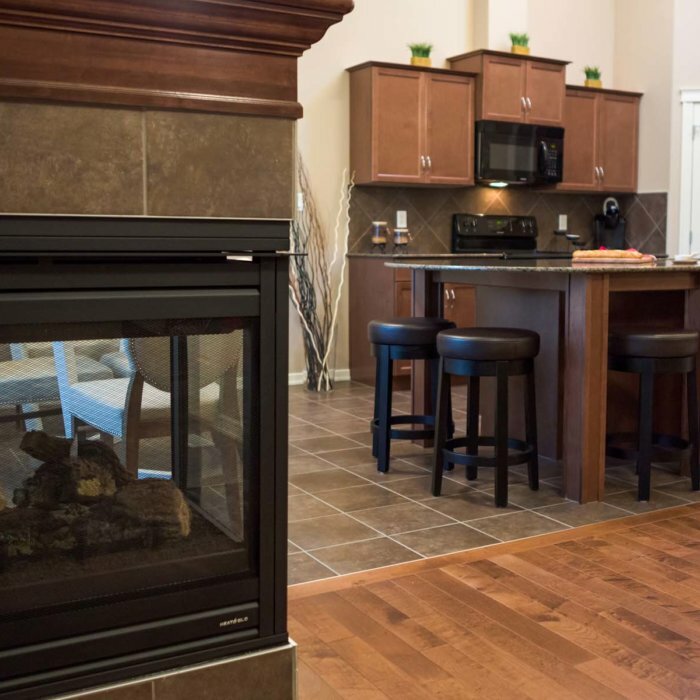 Waterside is within walking distance to the Muttart Conservatory, Henrietta Louis Edwards Park, Gallegher Park and the River Valley. 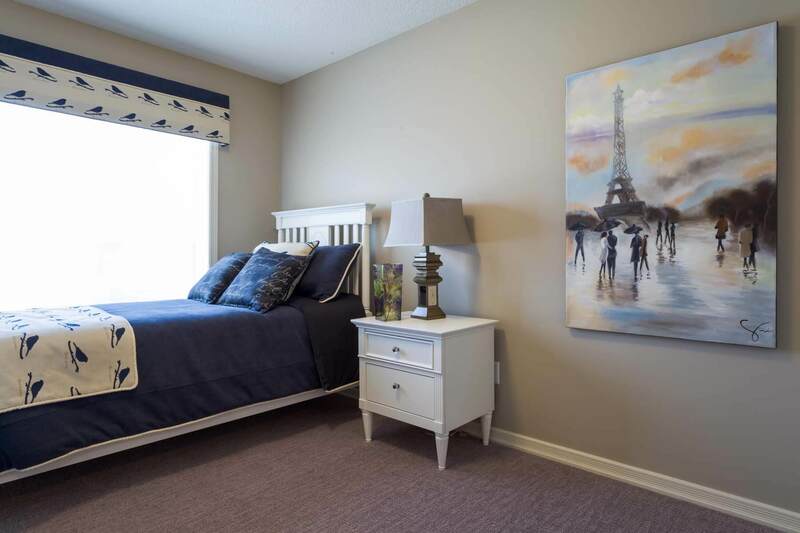 It’s central location allows quick and easy access to downtown, university and colleges, schools, shopping, hospitals, and much more. 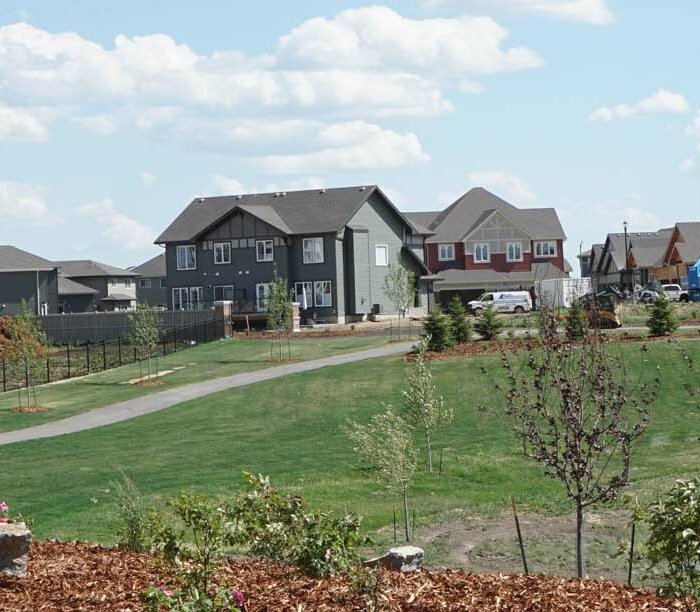 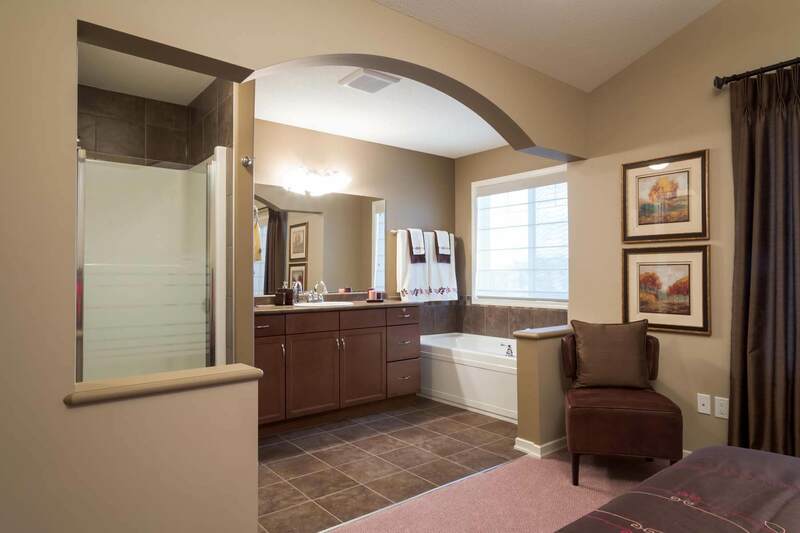 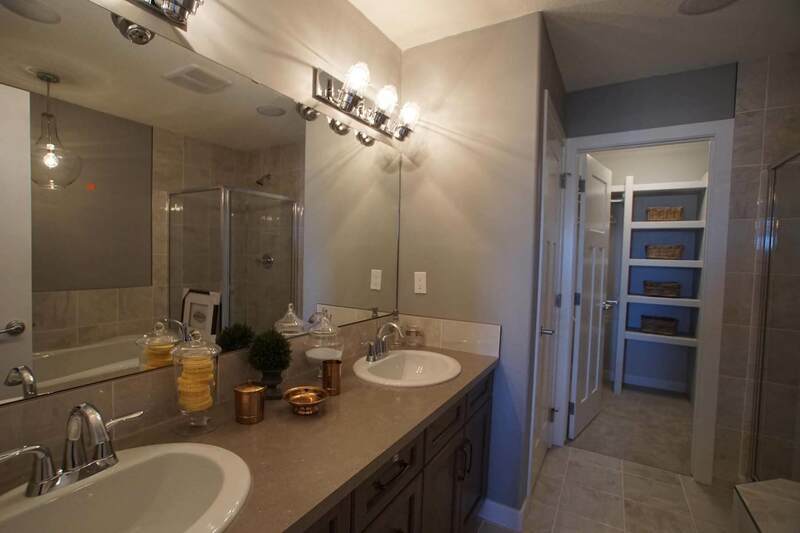 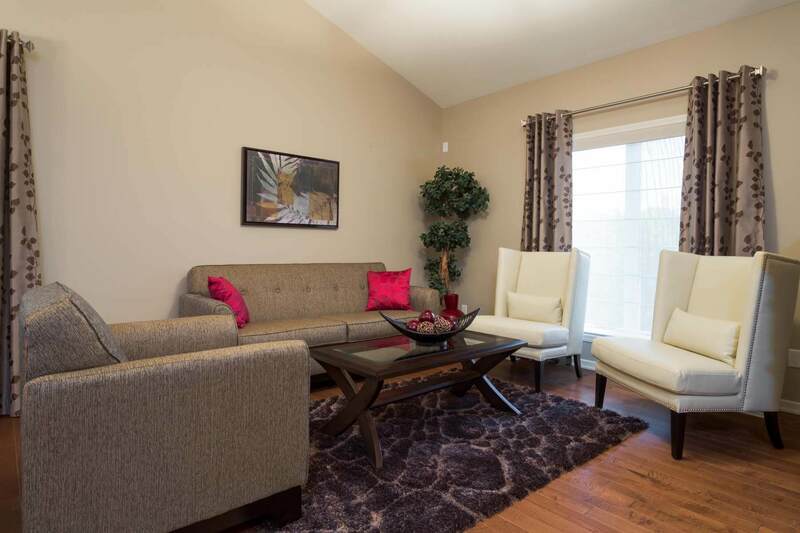 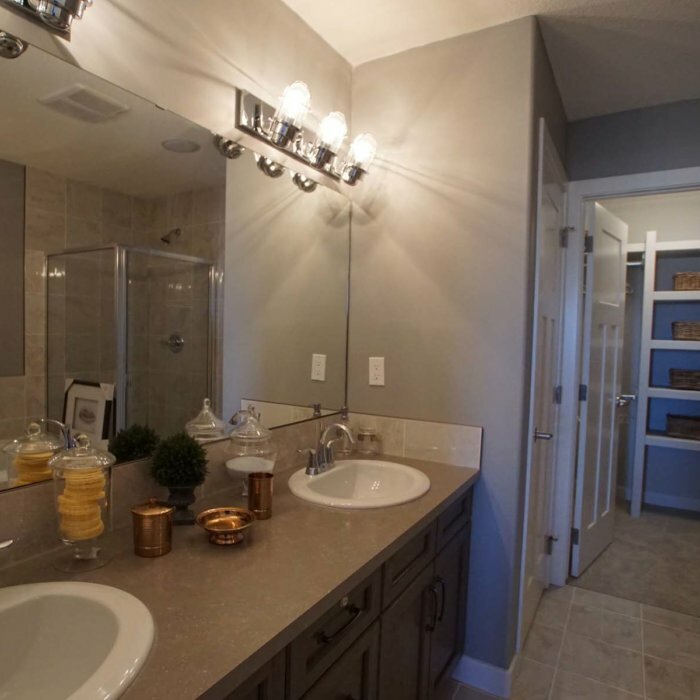 The Trails of Mill Creek Estates was a multi-family development, completed in 2012. 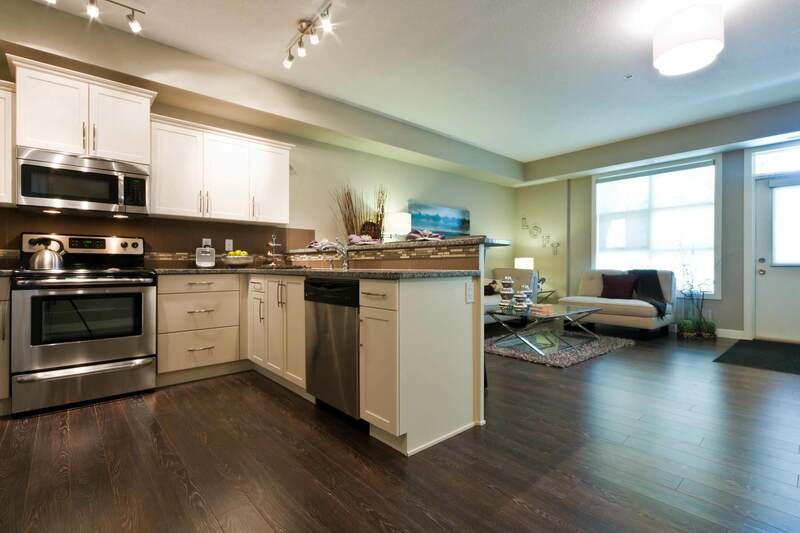 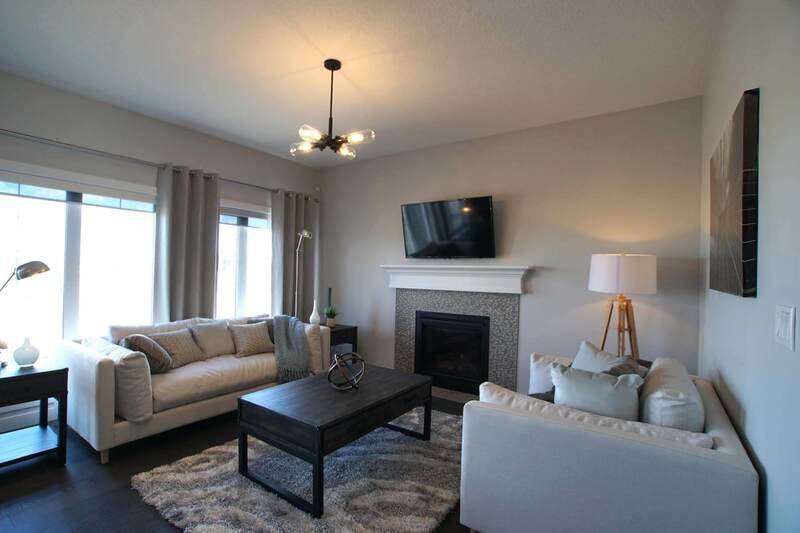 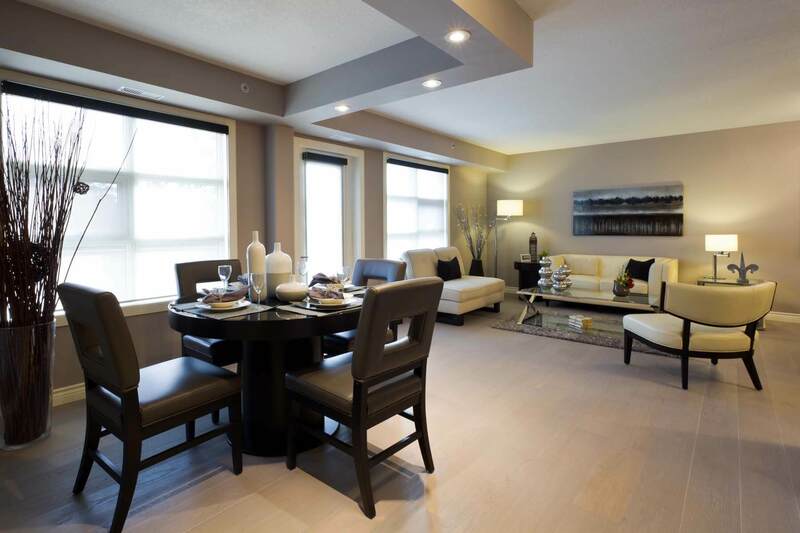 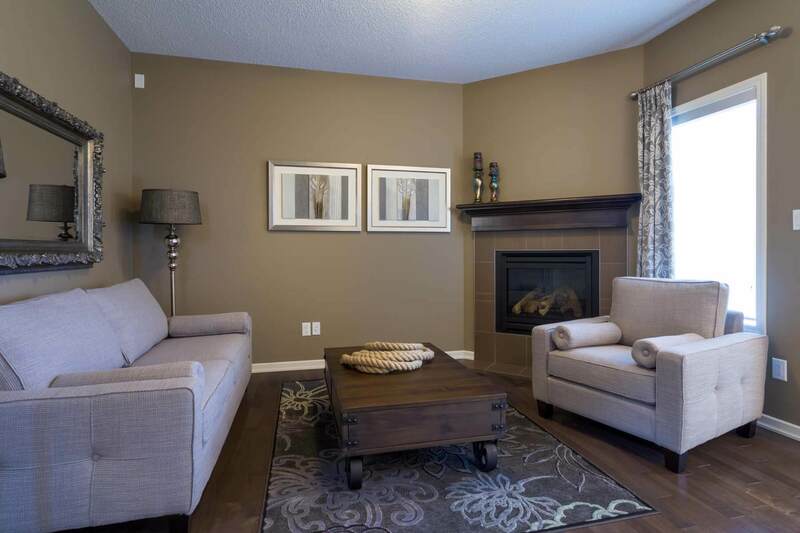 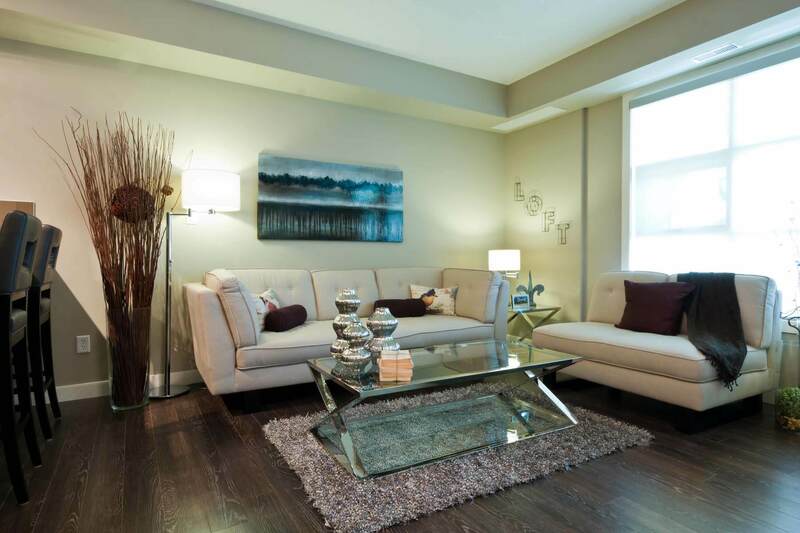 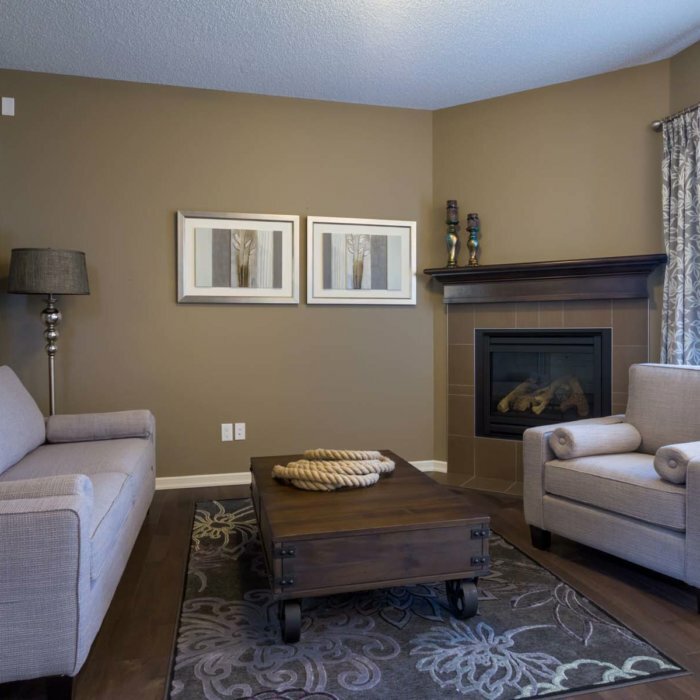 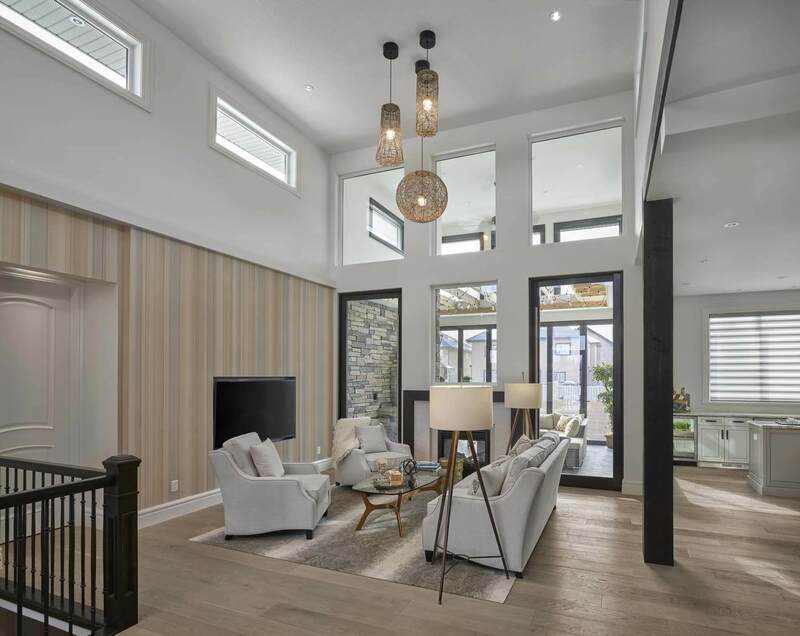 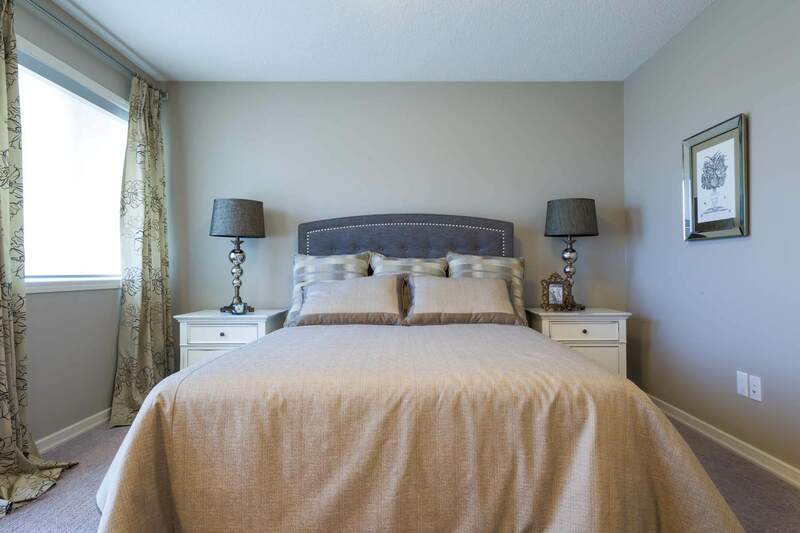 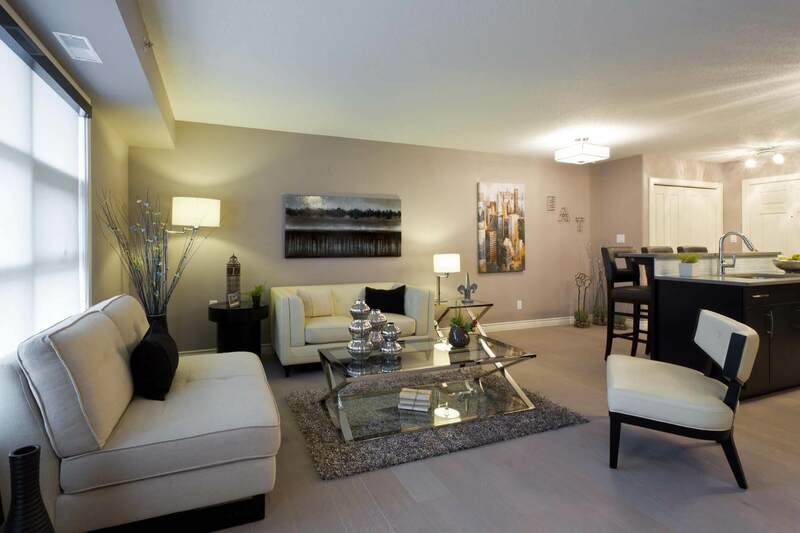 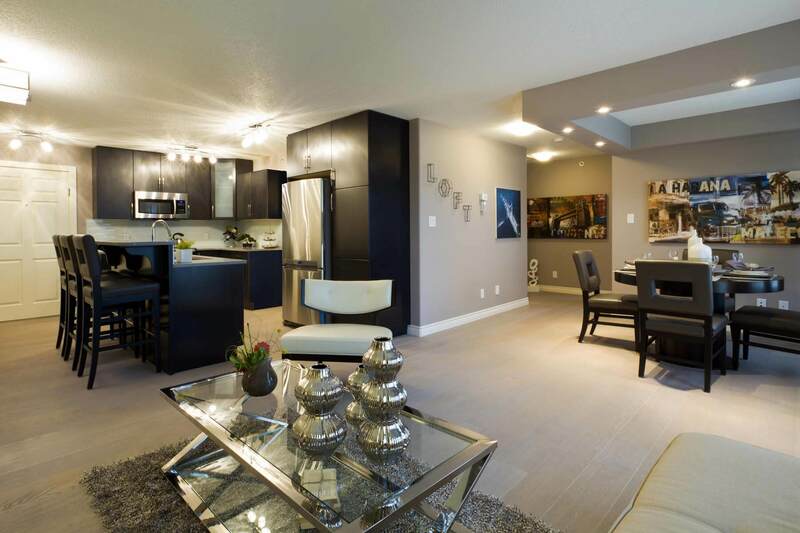 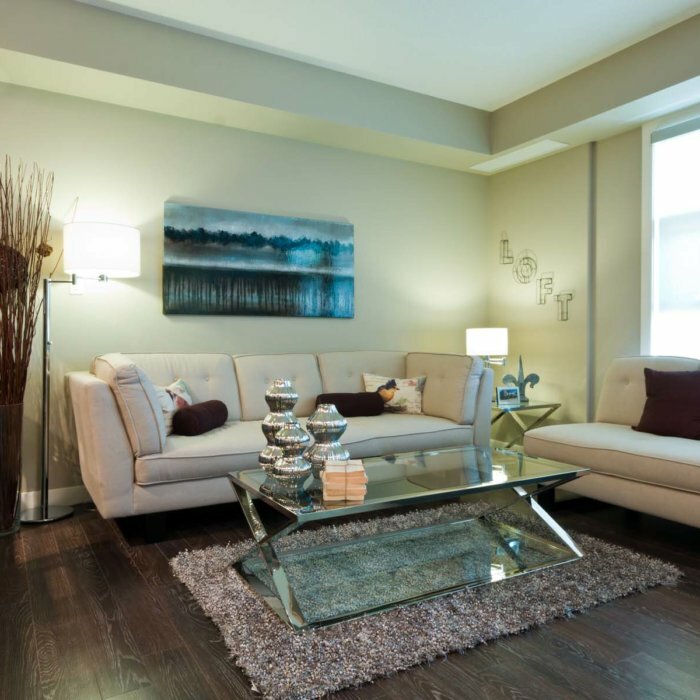 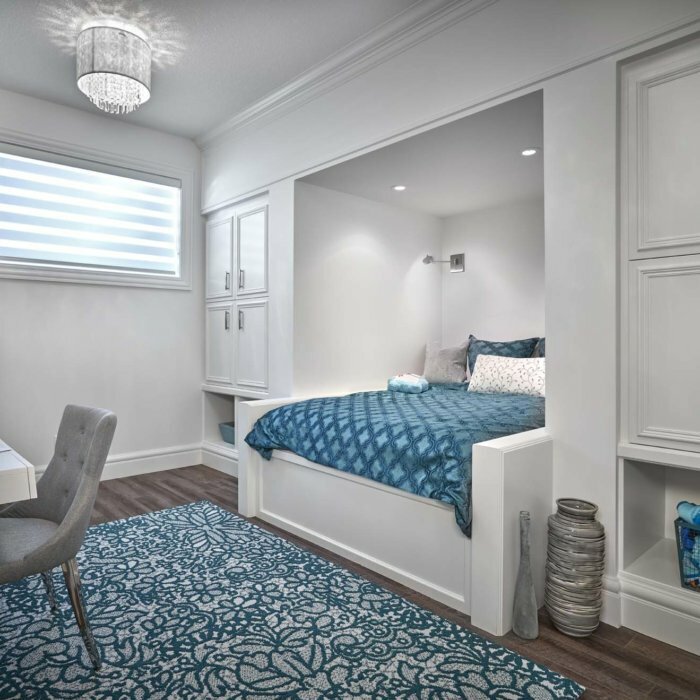 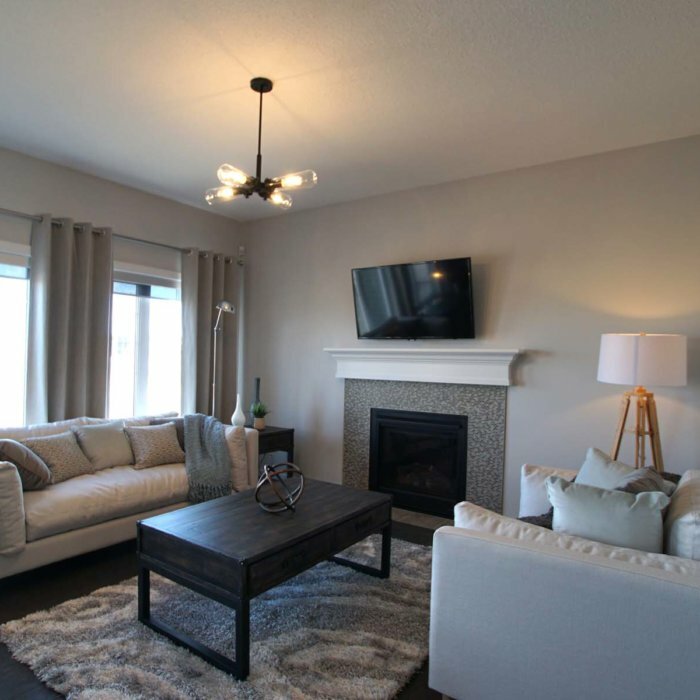 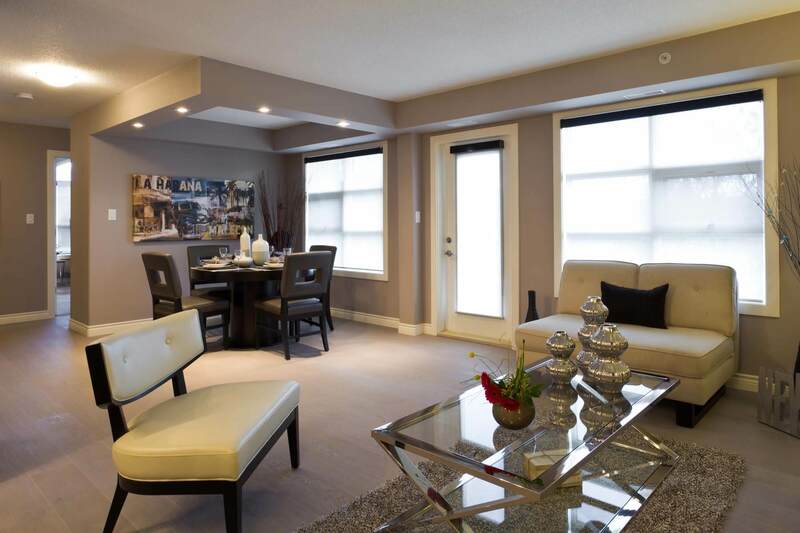 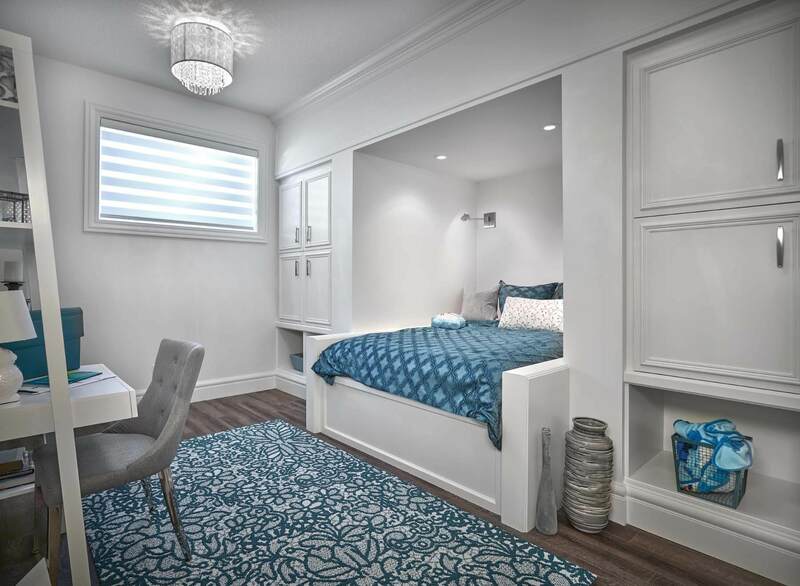 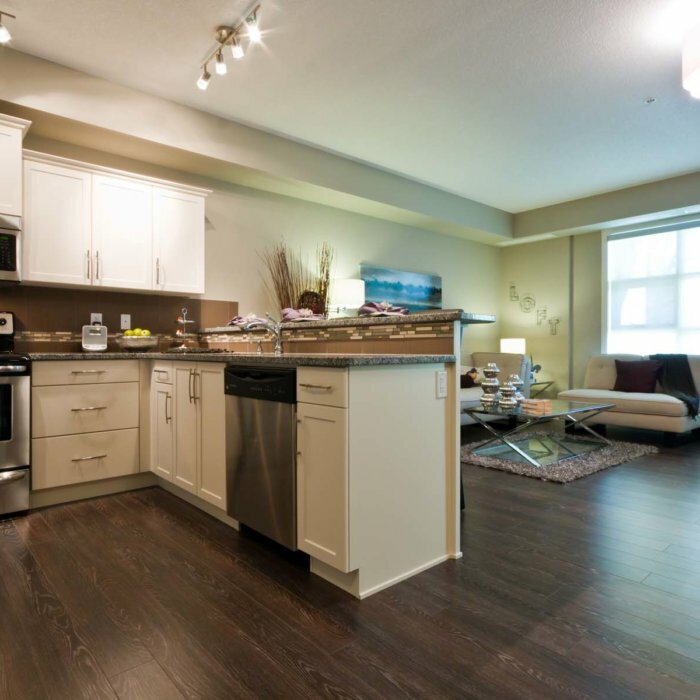 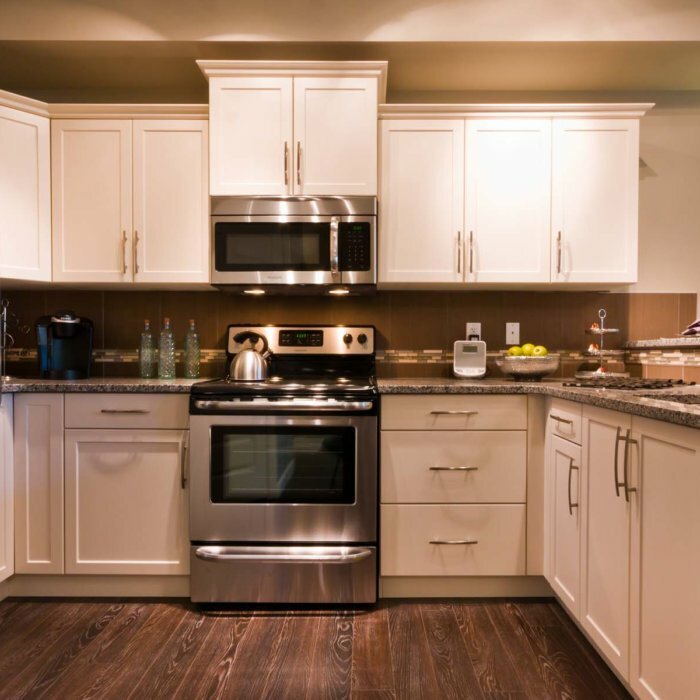 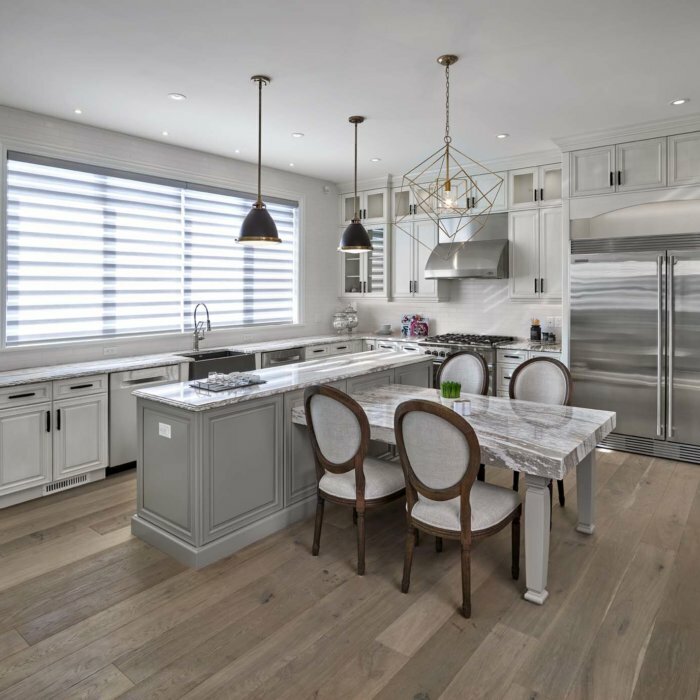 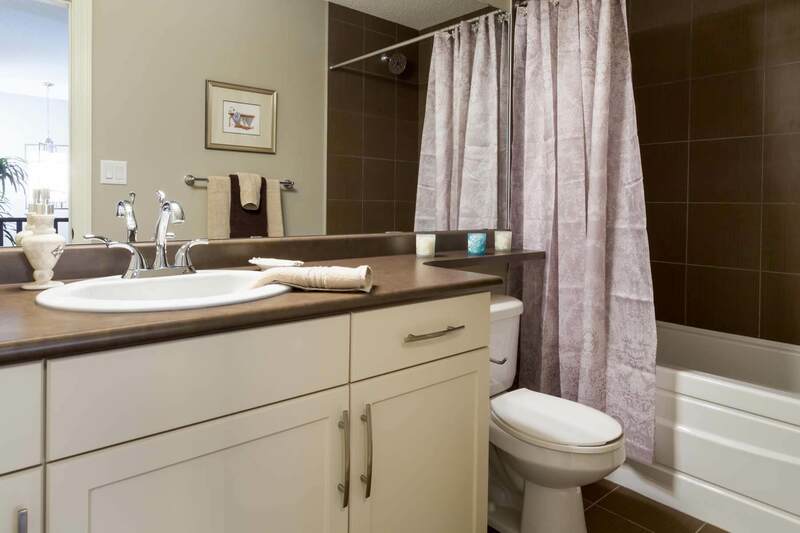 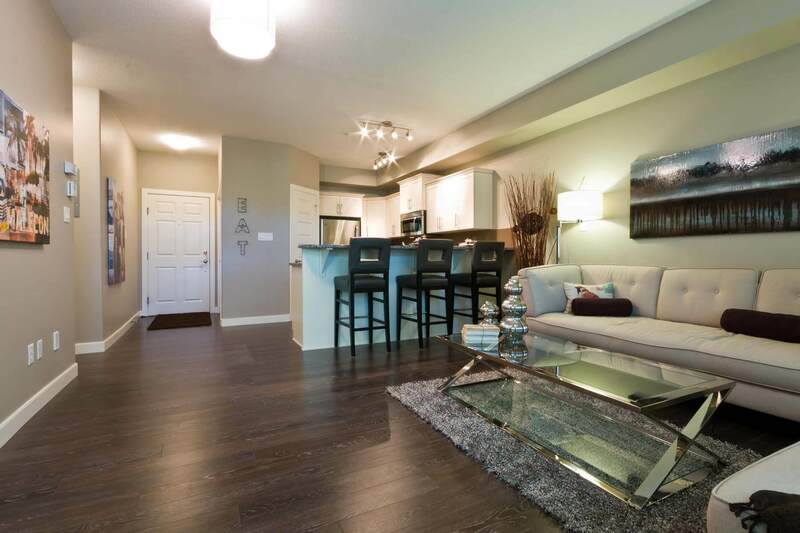 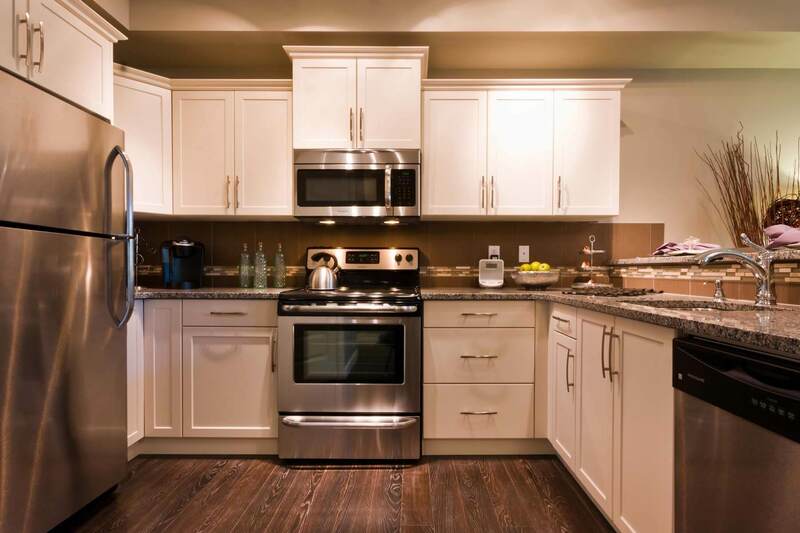 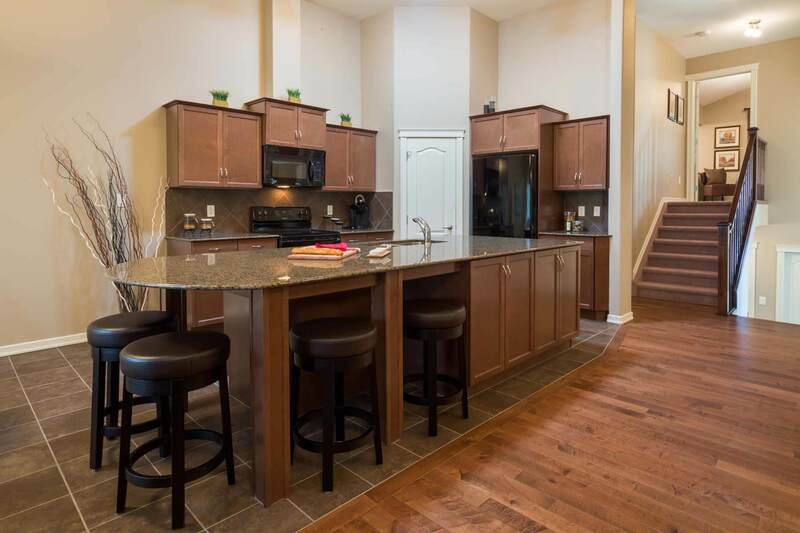 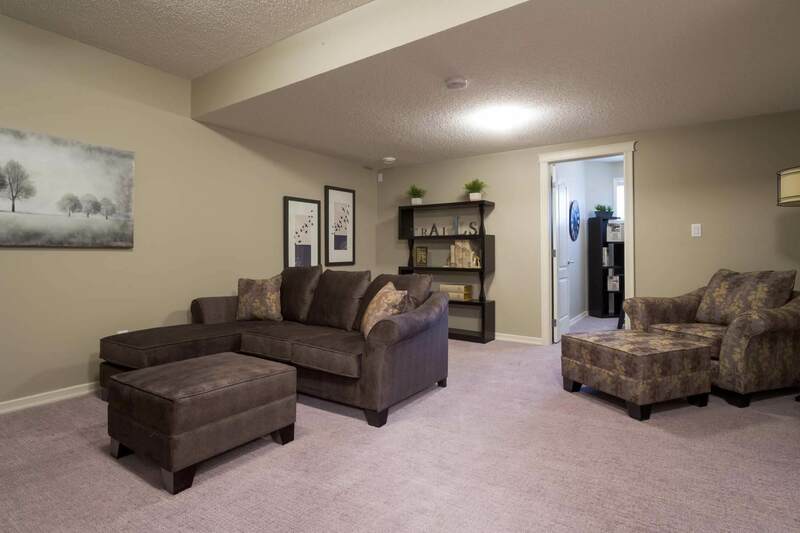 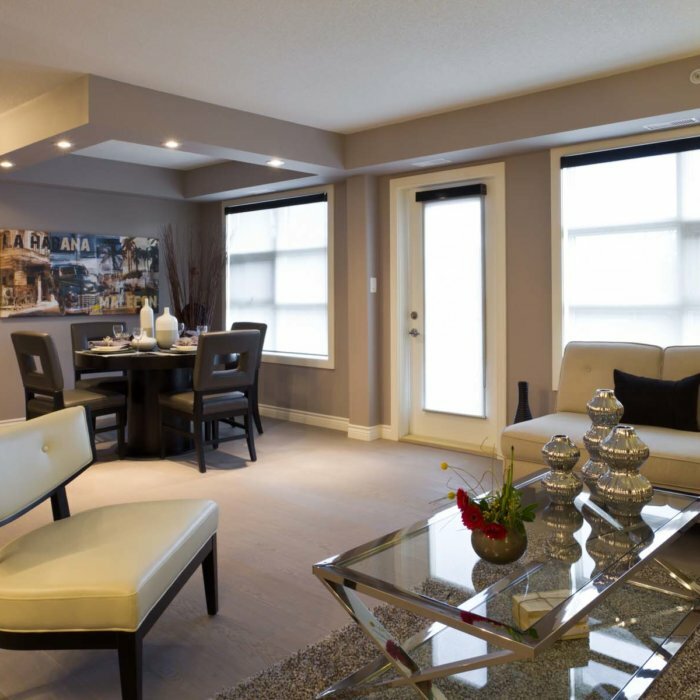 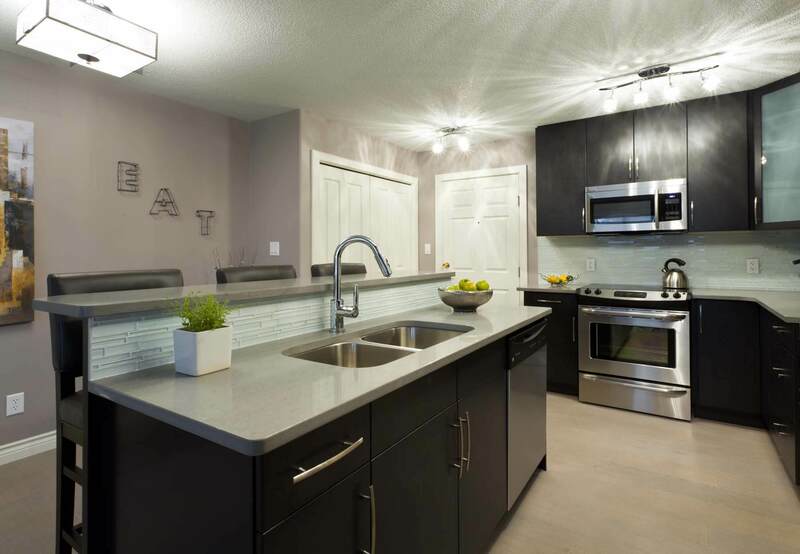 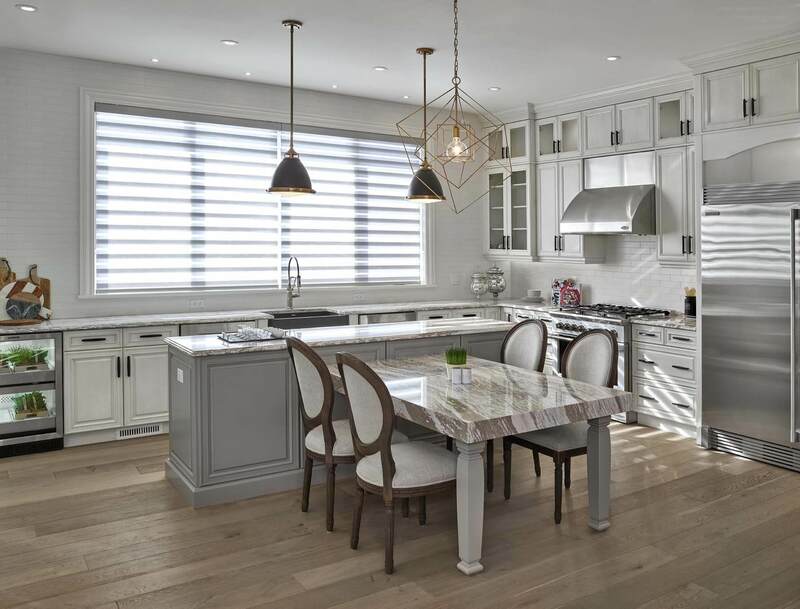 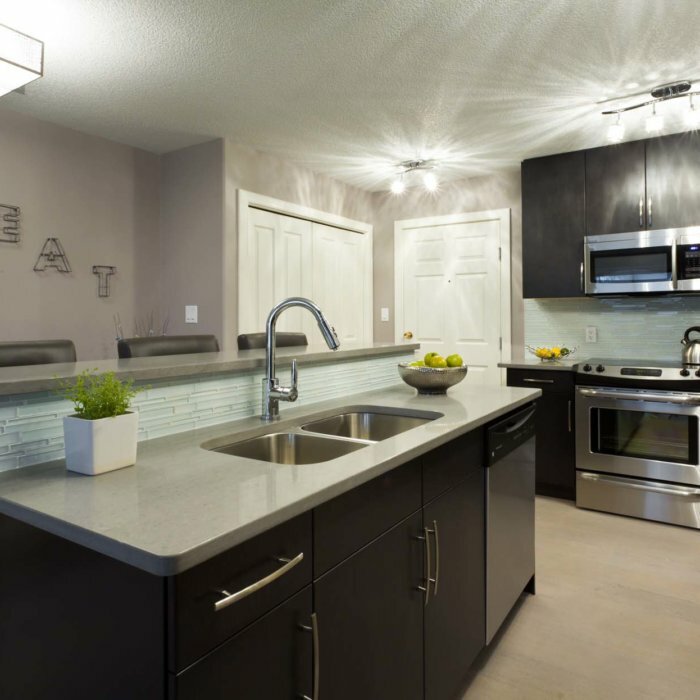 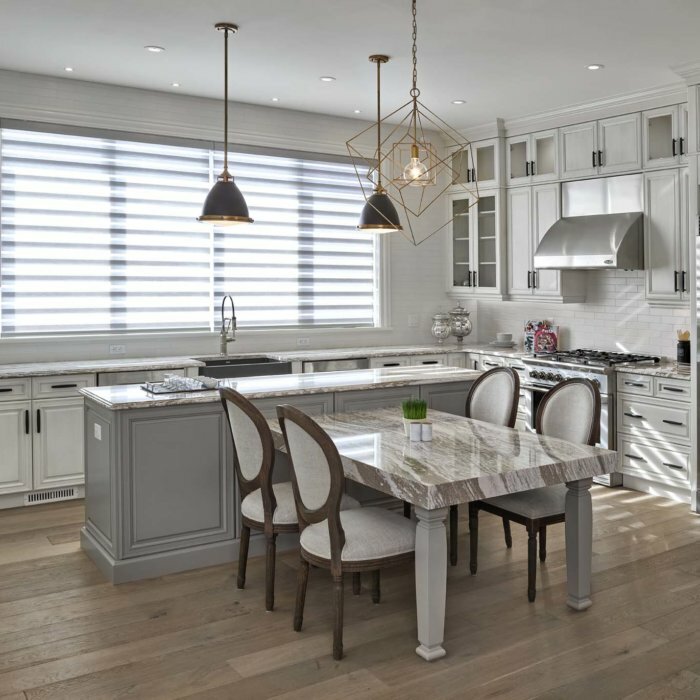 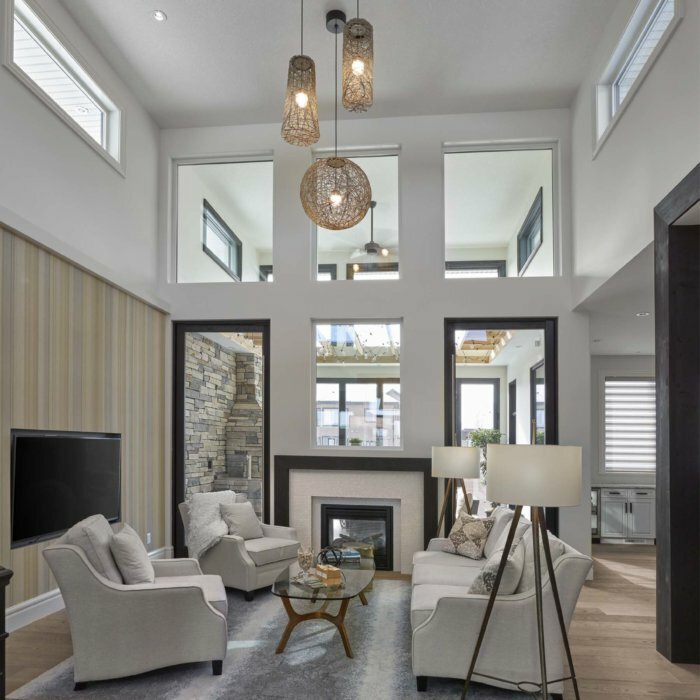 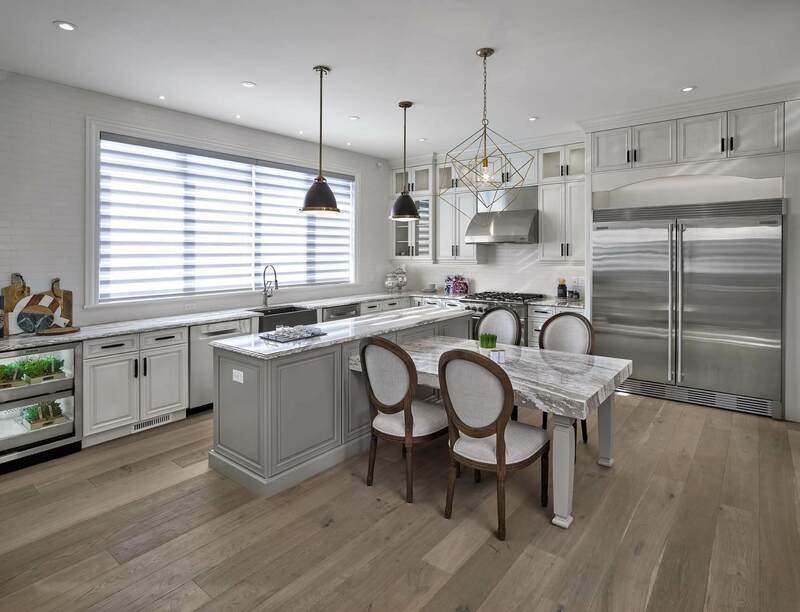 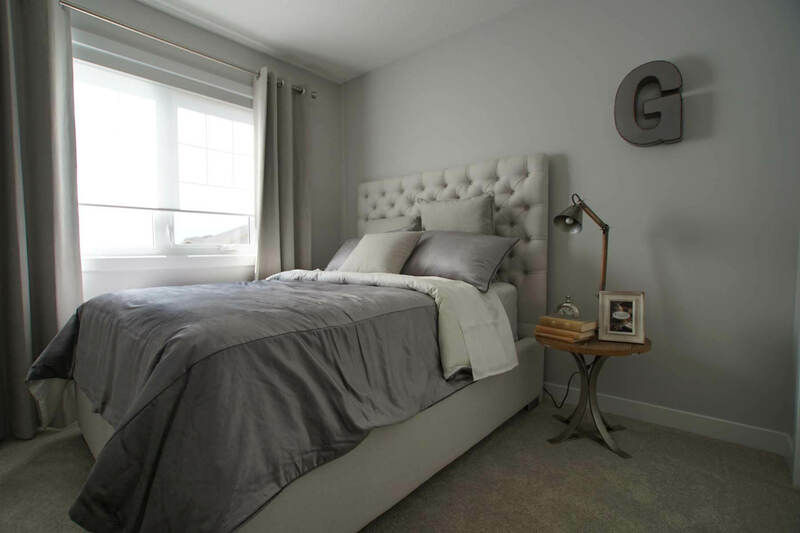 This spectacular adult community, consisting of 44 executive duplex condominiums with luxury upgrades throughout, backs onto the Mill Creek Ravine with access to serene walking trails and nature. 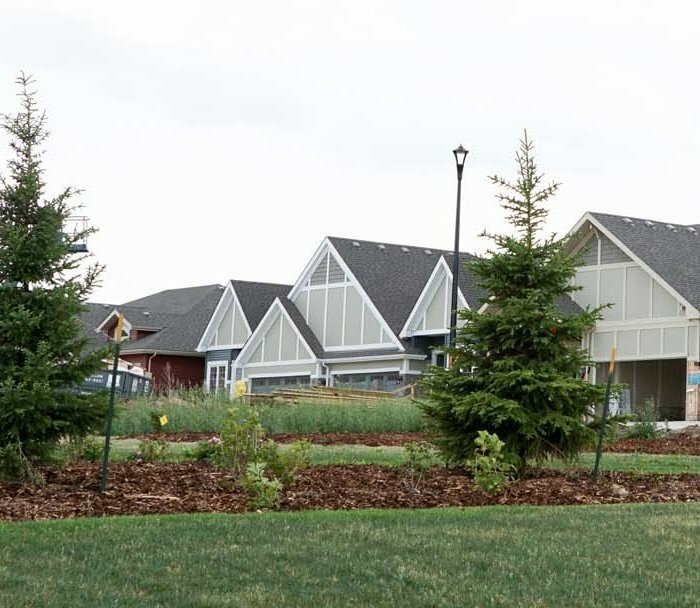 Designed as a ‘village’ of differing and unique homes with a cohesive look, Village on the Lakes in Rosenthal was completed with a total of 30 units, range from 1682 to 2008 square feet. 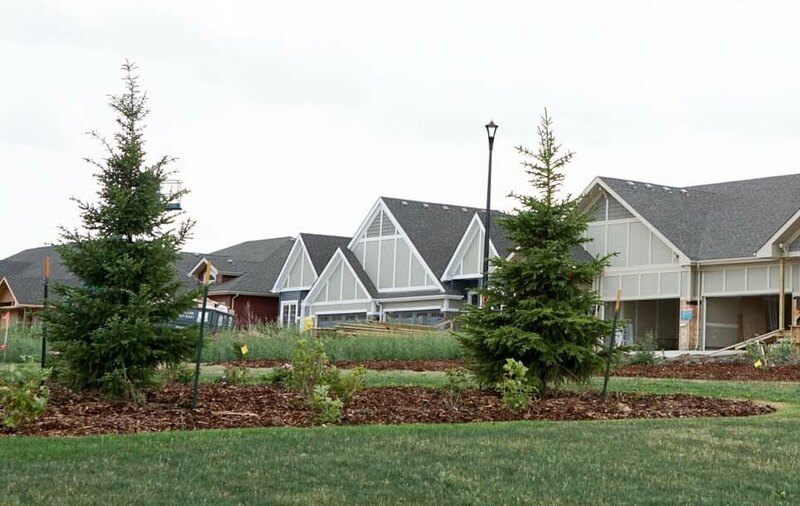 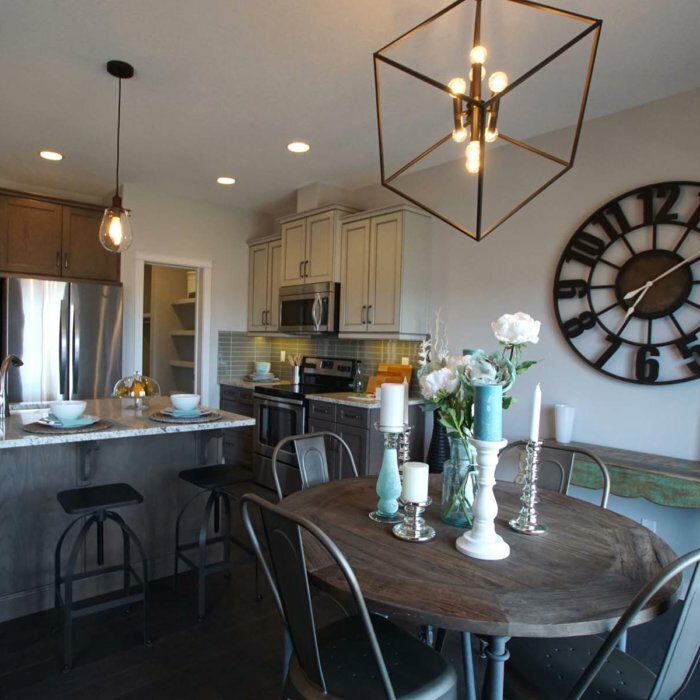 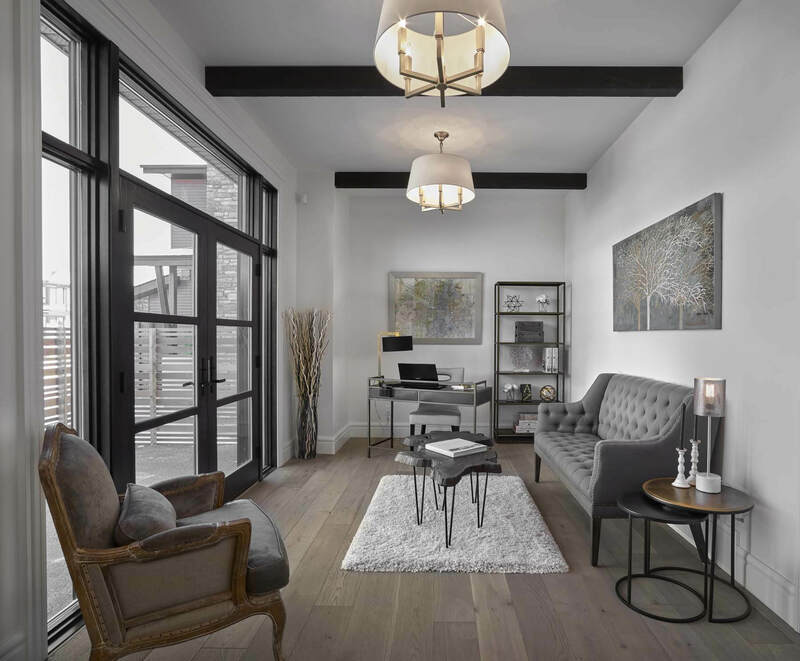 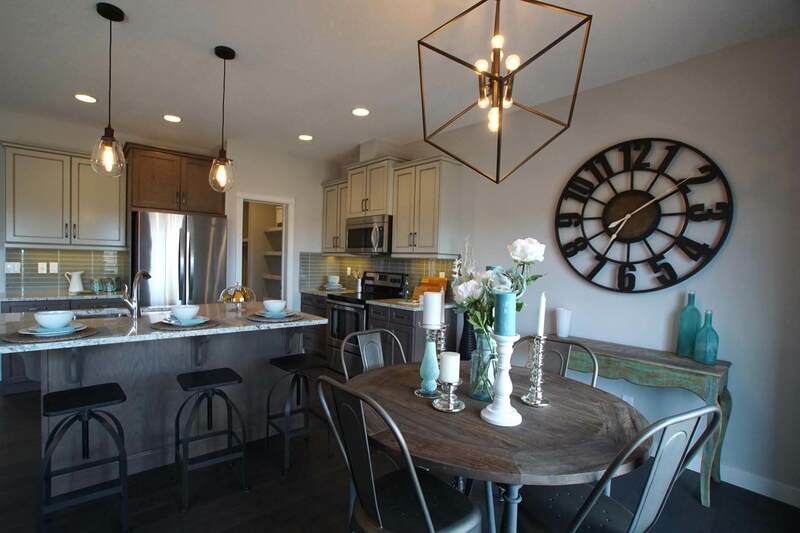 These duplex and triplex homes where styled in Craftsman, Prairie or Neo-Tudor architecture and with many of the bungalows offering walk-outs leading on to the two surrounding lakes, as well as two storey homes, Village on the Lakes in Rosenthal was a stunning multi-family project.